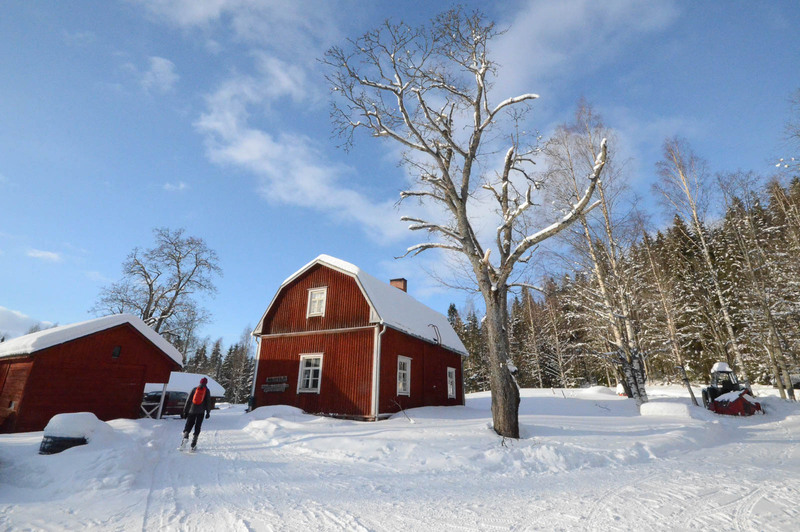 Repovesi is one of Finland’s most popular national parks in the summer time, but when winter arrives, there is hardly anybody. November is perhaps the least popular month to go in the nature. That is why I believe it is the best time to see familiar places in a new way. In November, the day in Finland is short. When the weather is cloudy, there is almost no light. That’s why we were in Repovesi in November. We wanted to find a different view to it. To experience a familiar place with a new twist. 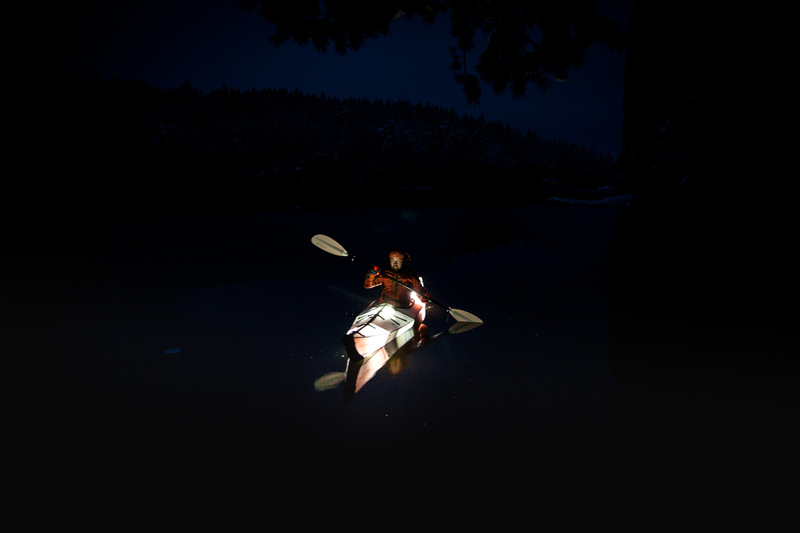 We also wanted to test an idea to fill an Orukayak with bright LED-lights and see what happens. 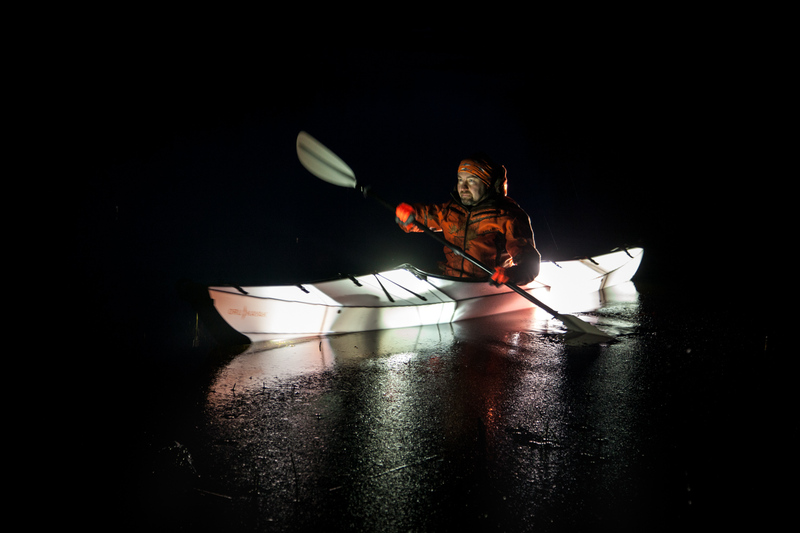 Tony from Tentsile Finland prepared the kayak. I tried to make a fire, just because of security. 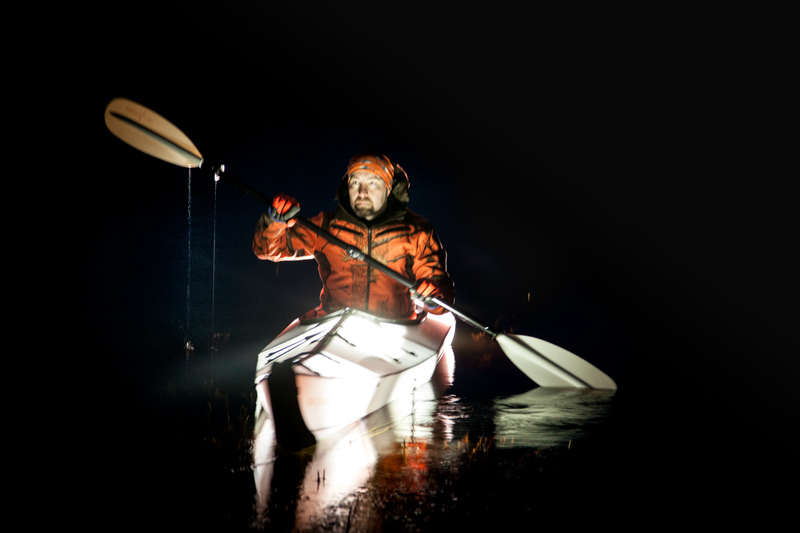 In less than 15 minutes the angular box was transformed to a real kayak. In this point we read through the plan. 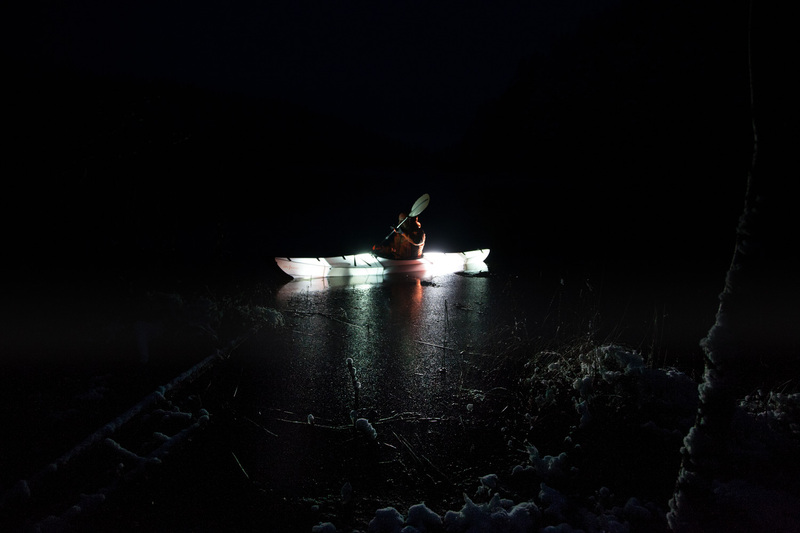 Let’s fill a rickety kayak with the electrical equipment, and then go to paddle on the over-frozen water. After it gets dark, of course. 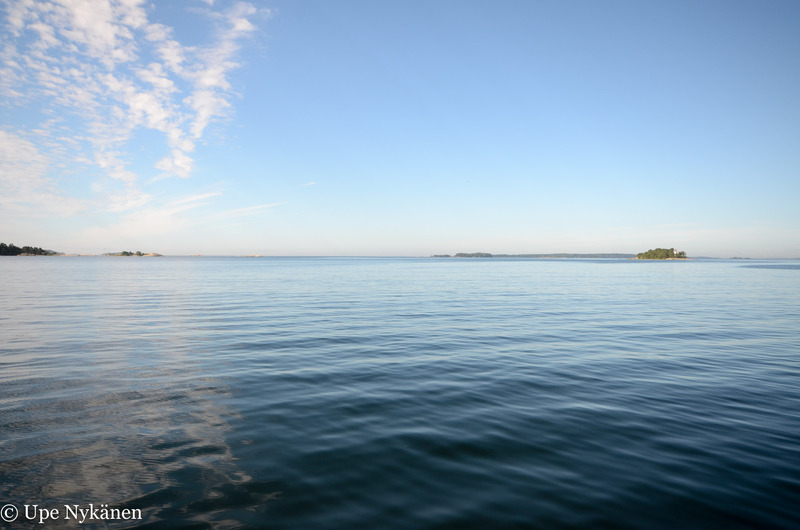 On the water you are as close to the nature as possible. Now it was the last chances this year. A few days later, all lakes could be frozen. We walked to the shoreline. 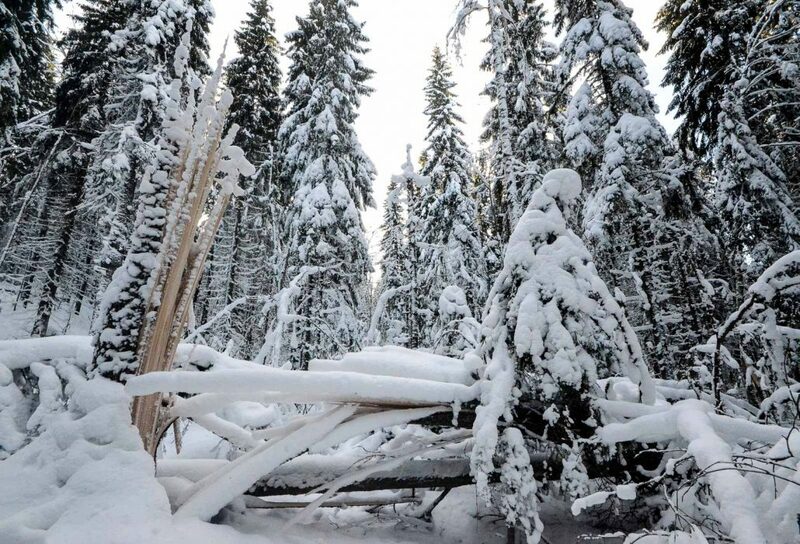 The snowy forest that we passed was illuminated by the kayak. It was so beautiful that we needed to stop for a couple of times just to shoot some photos. Even I had had some doubts in the morning, but now I had a feeling that all the effort is surely going to pay off. Now it was time to put the kayak on the water and jump aboard. I was amazed. The sight was something incredibly beautiful, way finer than what I had imagined. The only colors in nature were black and white. Calm water and the reflected image in the middle of the silence. 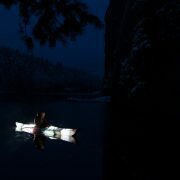 The kayak glided silently. The moment was so perfect, that it felt almost bad to break the surface of the water with a paddle stroke. This moment was not for the busy ones. The bright light made the darkness surrounding us feel ever deeper. The water surface reflected light. The darkness was filled with magic. Light in the darkness is an unforgettable experience. Long live the darkness! The route is marked with yellow markings on the trees, and the trail has signposts. Korpinkierros, The “Raven’s Tour”, is a circular wilderness trail in the Nuuksio National Park. 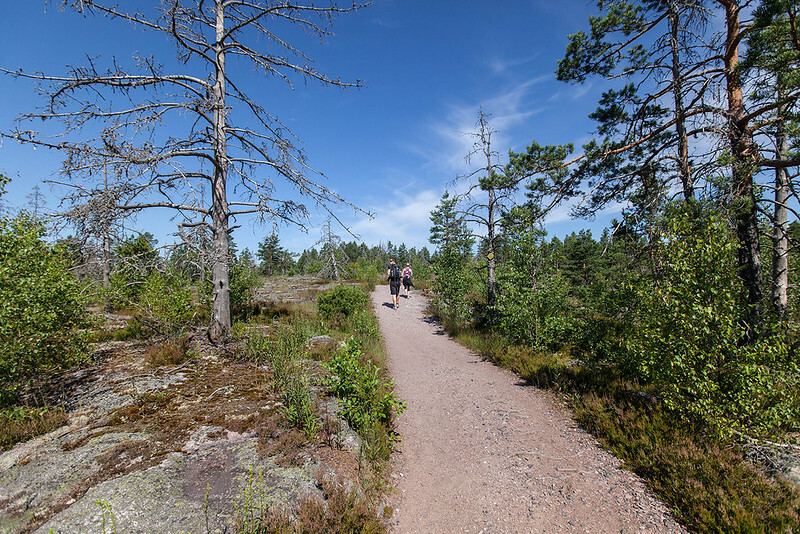 The trail is the most popular circular trail in Nuuksio. If you have only two hours time for Nuuksio, this route is what we highly recommend. 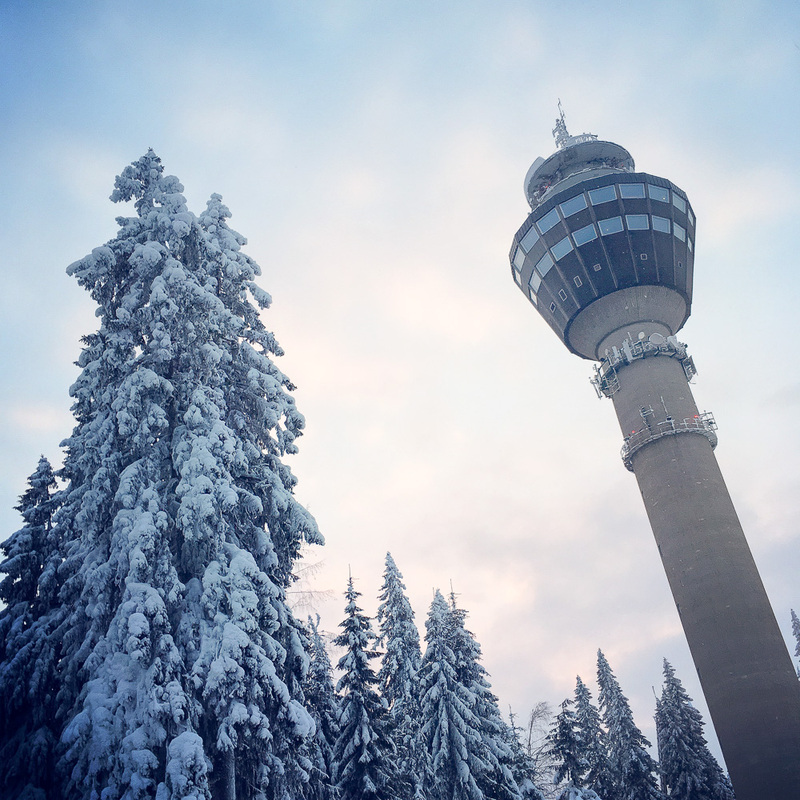 An eight-kilometer loop starts at the Haukanpesä information center, at Haukkalampi witch is easy to find and only 30 kilometres from the centre of Helsinki. 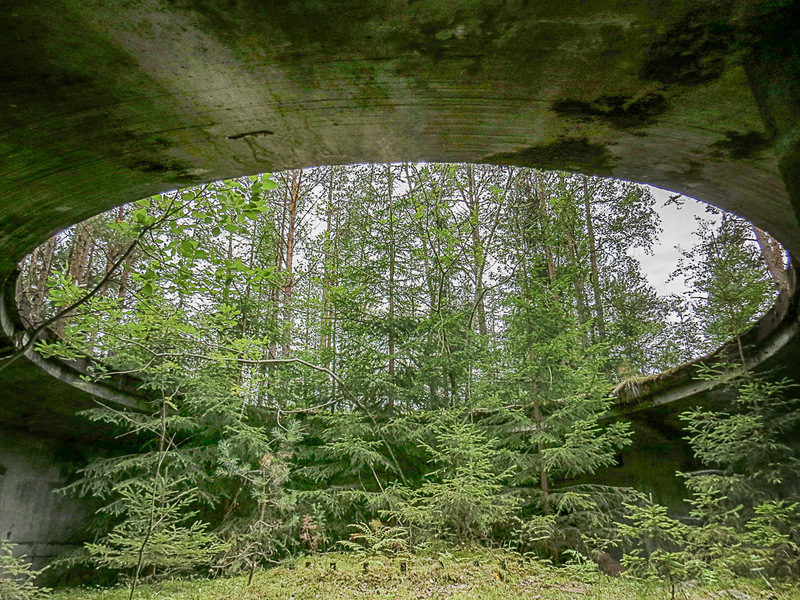 The start of the trail passes through moss-covered terrain under spruce trees. As you approach Lake Mustalampi where you can see the turf floats on the pond, among other things. There is also the campfire site on the hill. 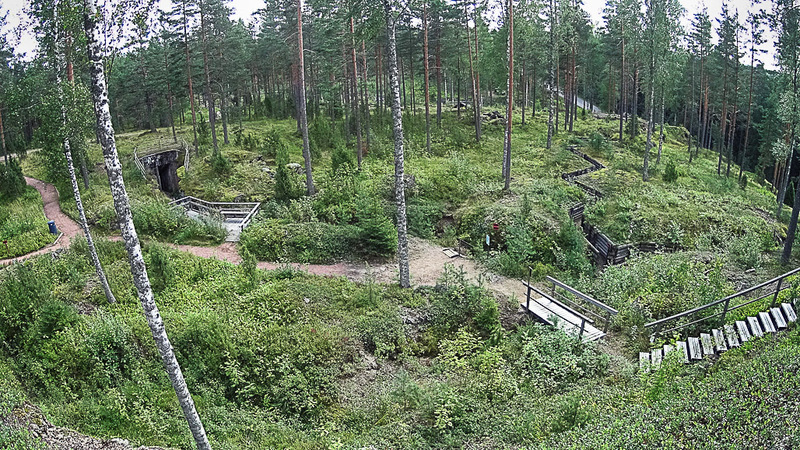 After Lake Mustalampi, the trail rises on the Rajakallio hill and continues to vary, travelling through the forest. 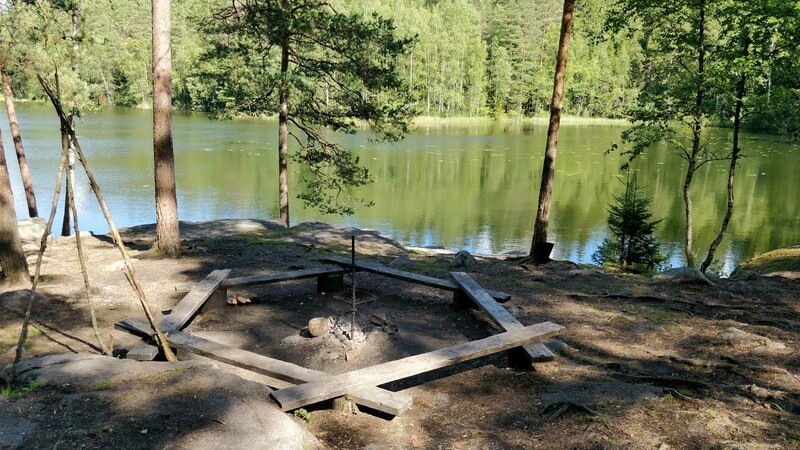 Next campfire sites at Lake Holma-Saarijärvi, one on an island, and another on the other right next to the shore on the other side of the lake. It takes a bit over two hours to walk the trail withtime to have occasional stops for the scenery. The untouched nature of the national park is the best part of the experience.A peaceful environment is good for hiking, not too difficult but slightly challenging. It’s also possible to walk only half the route if entering and exiting Nuuksio with different buses. The trail is ideal for those looking for slightly challenging route with best views. There are a few short challenging sections on the trail: relatively steep hills and varying surface. Most of the trail goes over gently rising rocks and duckboards, which both can be slippery to walk when wet. There are some wet spots on the trail but most of times it is possible to use normal light footwear on the trail. 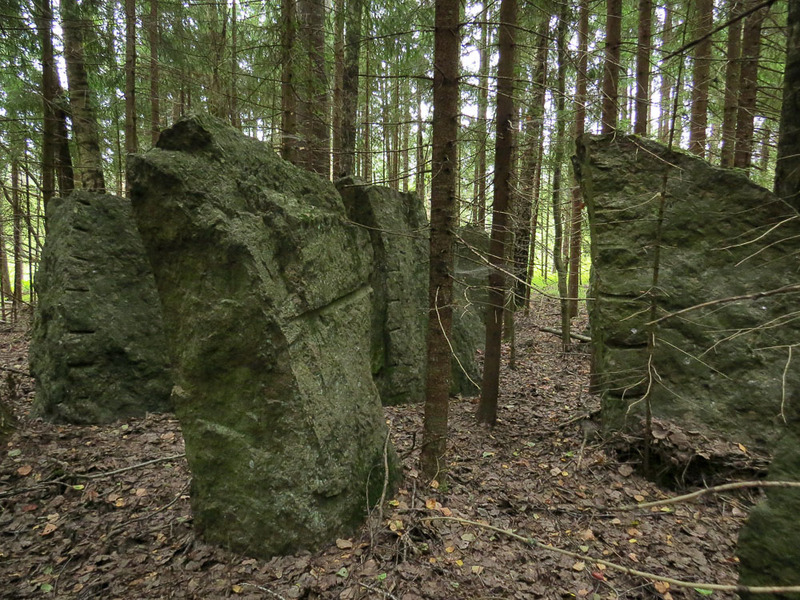 It is located only 30 km from the center of Helsinki. First take train line U from Helsinki Center Railway Station and go to the Espoo Center, Espoon keskus railway station. The train take about 32 minutes. From Espoon keskus take the bus number 245A, it will take you to the Nuuksio. 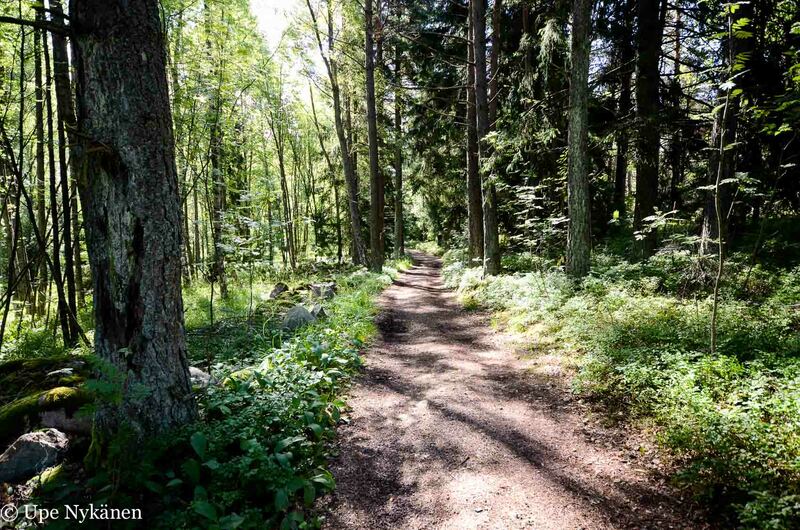 Helsinki is full of small gems for short getaways on foot or by bike. One of them is a walk or a bicycle route along Vantaanjoki river that takes you from the oldest of Helsinki to the newest one. Along the way there is plenty; fast rapid and a calm riverside, fields and urban gardening sites, and silence of the woods. Helsinki was established already in 1550 by the Vanhankaupunginkoski rapid, where the Vantaanjoki (river Vantaa) meets the sea. 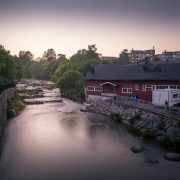 The centre has later moved to where it is today, but the area still carries its historical charm in the middle of the new residential areas growing on both sides of the river and the Arabianranta arts and design district. From the last stop of the trams 6 and 8, there is only a stone’s throw to the path that takes you along the bayside to the pedestrian bridge nearby the Vanhankaupunginkoski rapid. On a lazy day, the time goes by watching the rapid, the beautiful bay view and locals trying their luck fishing. 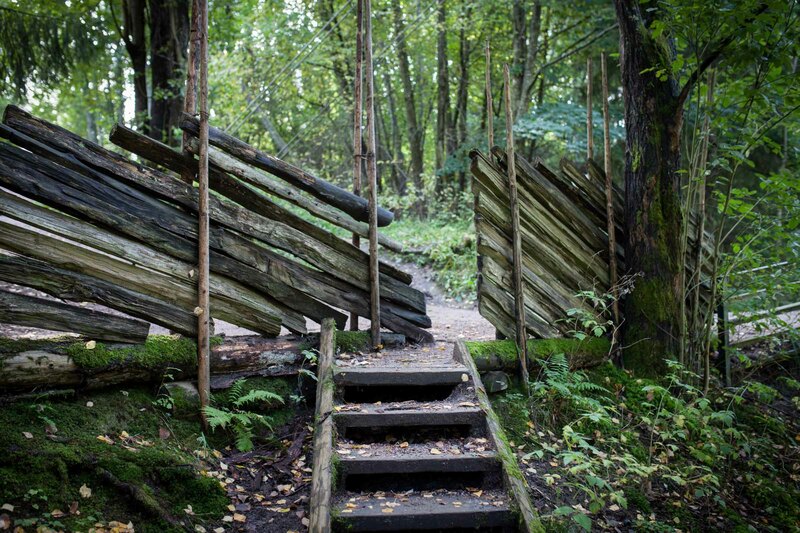 A stroll along the wooden path takes you to Lammassaari through a small jungle of sea reed. A small island with tiny summer cottages during the summer season is a peaceful hideaway and walkabout during autumn and winter. On a more active day, take a bike or put your best walking shoes on and save some time. 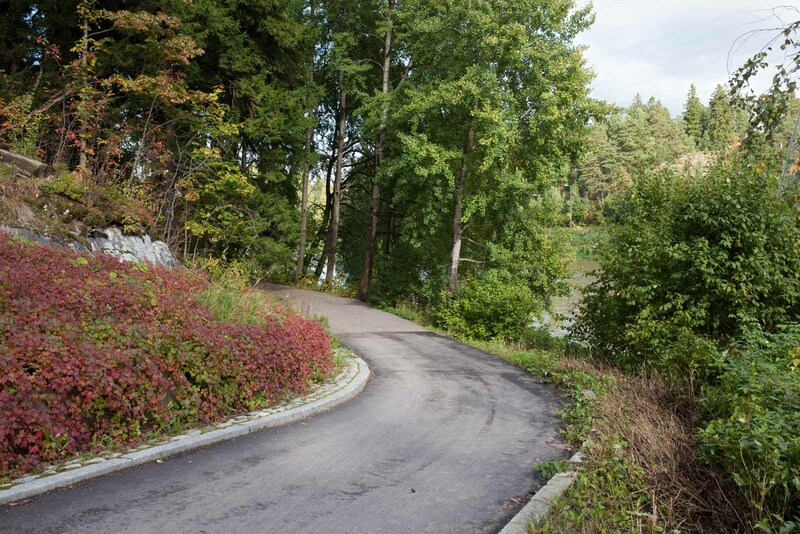 From the rapid, a pedestrian path takes you north towards the direction of Vantaa and Kerava. The path goes on most parts on both side of the river, with small detours to the residential areas of Käpylä, Veräjälaakso and Tapaninvainio among others. 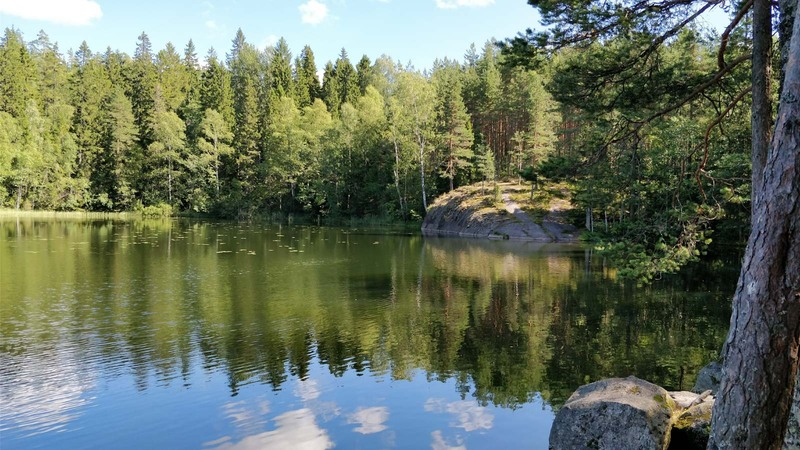 The next pit stop along the path from the Vanhakaupunki is Pikkukoski, a small public beach hiding within Veräjälaakso residential blocks, resting in a small, quiet valley by the Pirunkallio (‘devil’s rock’). In the summer time, Pikkukoski (‘small rapid’) is a small public beach to swim in the Vantaanjoki river. It gathers local residents to picnic, swim, rest in the sun, play basketball or just stop, enjoy and stretch your legs for a while. 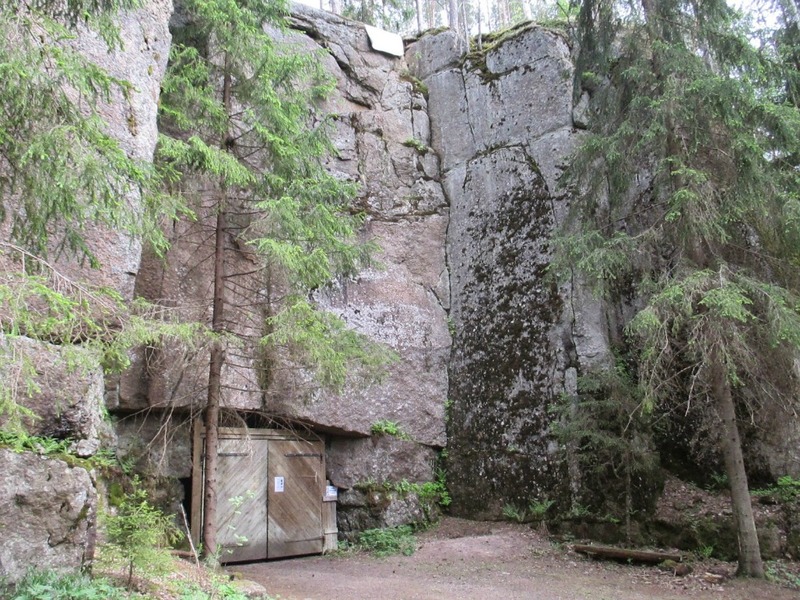 The Pirunkallio cliffs by the river create an illusion of being much further away in the woods than you actually are. The cranes of the very new Viikinmäki residential area in the background do however remind you of the rapidly growing Helsinki around us. In the winter time, Pikkukoski transforms into a small, hidden winter activity corner. 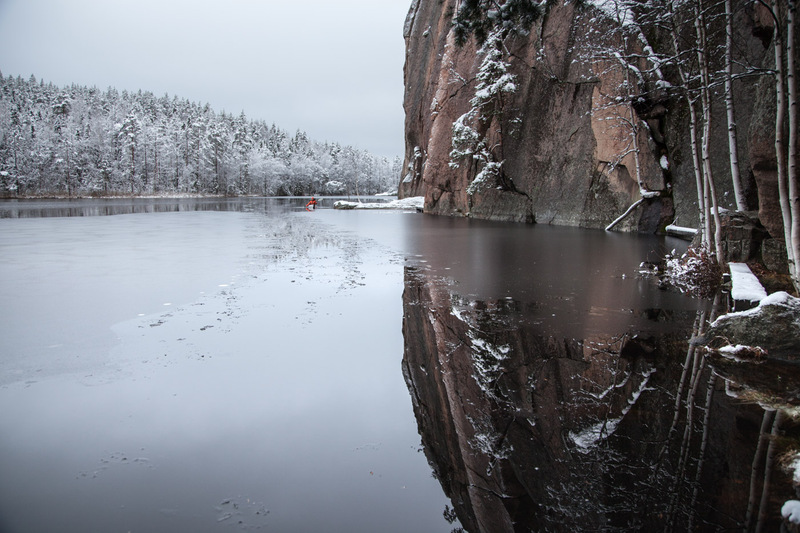 The steep Pirunkallio cliff offers a rare opportunity in Helsinki to try out ice climbing, if the winter conditions are favourable in the Helsinki latitude for the ice to form – and stay for few months. Pikkukoski offers also an opportunity to try the winter swimming, if you are brave enough. The pump keeps the hole in the river open throughout the year and dipping into the icy water is easy thanks to the path and stairs installed for the winter swimmers. The small change cubicle on the beach gives a little shelter for changing clothes. If you don’t dare to try the icy bath with all the health benefits, it is a funny marriage to watch: few evenings a week the climbers in their full gore-tex gear and winter swimmers only in their bathing suits share happily the same small lot. 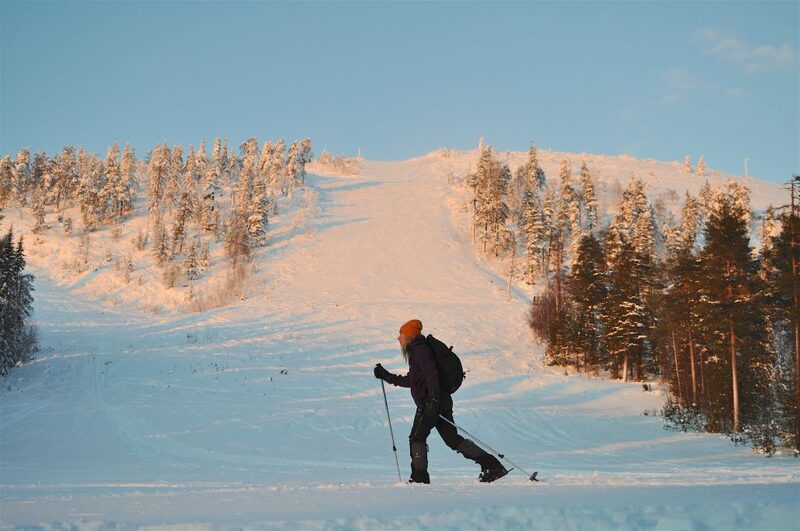 During the snowy season, ski tracks are also available in the area. 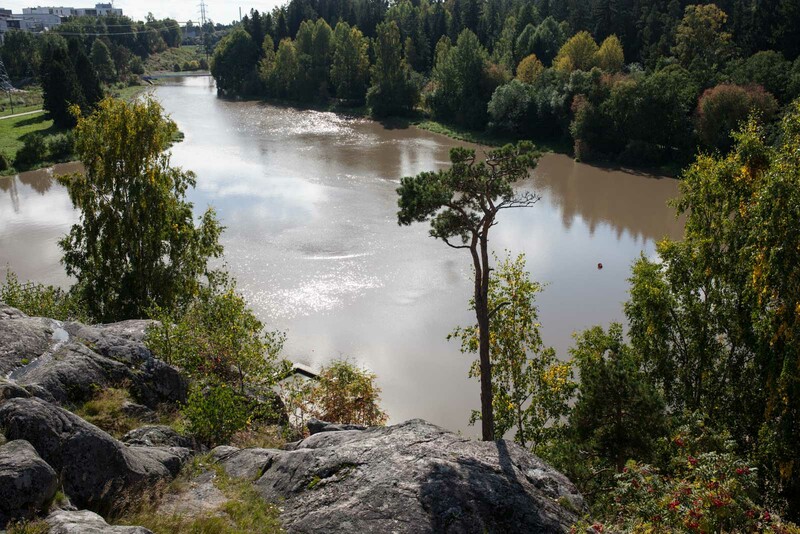 Continuing towards upstream, the forest view changes to the fields and parks of Tapaninvainio and Tuomarinkylän Kartano Mansion. The path takes you through the area where urban gardeners nurture their small lots in the summer time. You can also hire canoes in the area for further exploration of the river. The old farm and mansion Tuomarinkylän Kartano mansion and farm area makes a nice stop as it is in the middle of the oldest park in Helsinki. It also offers a place for a lunch or coffee if you forgot to take lunch with you. Depending how much time you have, you can continue towards Vantaa, even Kerava along the river side, but the bridges across the river make it easy to decide to change direction. Overall, the route along the river is a nice ride, with bike you can explore more during the day. As the path goes along the riverside, it is mostly an easy ride, too. Map or GPS is a nice companion if you are not familiar with the neighbourhood, as the route does take you every now and then off the riverside. 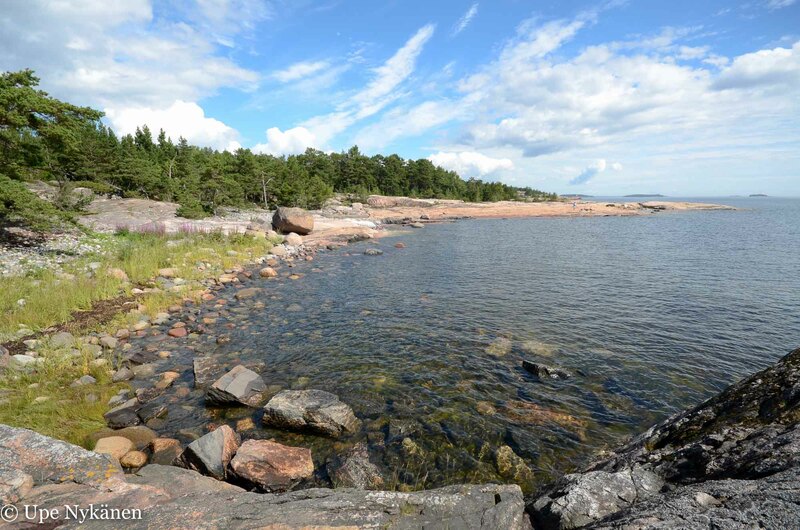 Take a tram to the final stop of 6 or 8 to Arabianranta, and start the walk along the seaside of Arabianranta. Buses 68 and 71 take you directly to the rapid, in the end of Hämeentie. Local trains to Oulunkylä take you directly close to Pikkukoski. There are also several buses directly to Tuomarinkylän kartano direction. Nuuksio lake highland is very close to Helsinki, but its atmosphere is really far from the hustle and bustle of the city. Nuuksio is in many ways one of Finland’s most important nature sites. 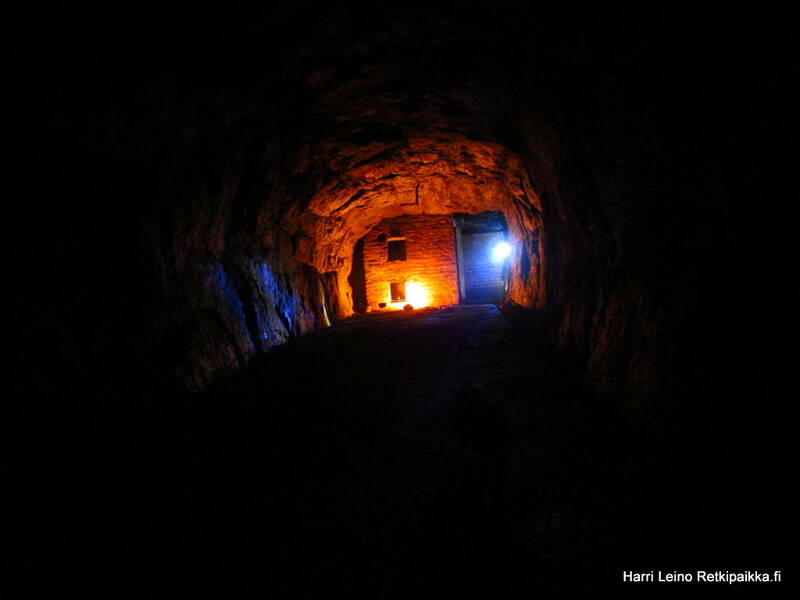 It is easy to get there by bus and there are plenty of fire places and marked trails in the area. In the forests and gorges of Nuuksio you cant get enough of nature. 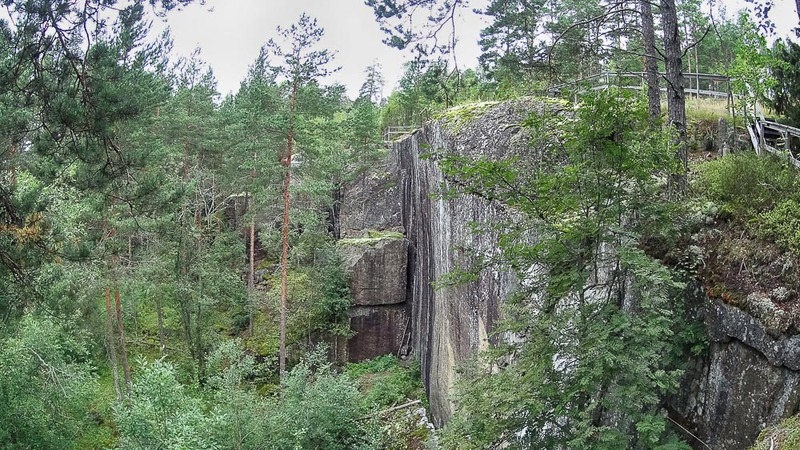 People have been in Nuuksio for thousands of years as the ancient rock paintings, like the one shaped like an elk by the lake Pitkäjärvi, let us understand. A successful day trip starts casually from the door of a cabin, and after the memorable day in the nature the next best thing is to have a comfy bed and catch up with the fellow hikers. 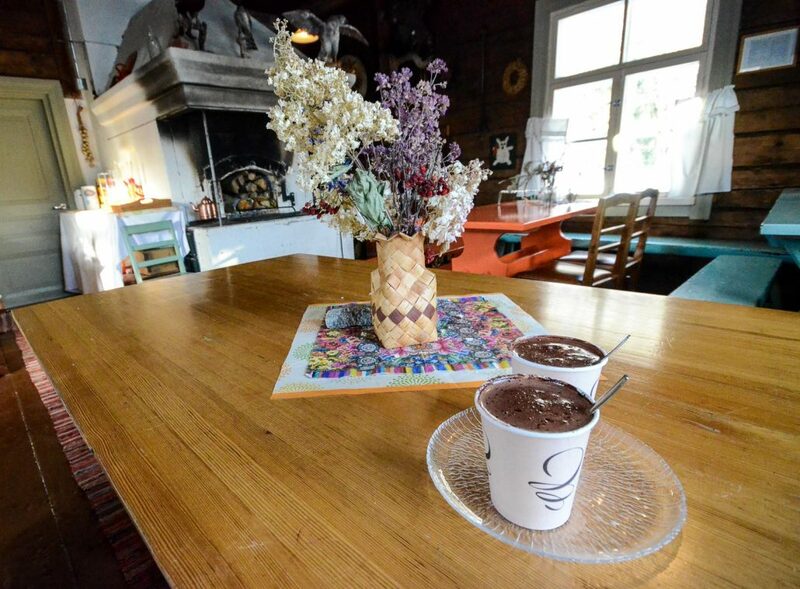 Check out Nuuksio’s cozy cottage options, where you can comfortably have a bigger party. 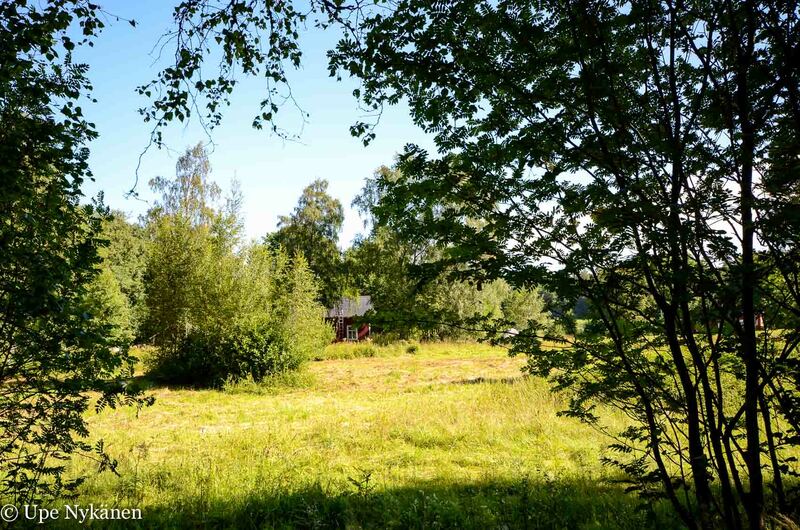 Book your preferred cottage in advance online so you can focus on relaxing and enjoying the the wilder side of the Helsinki area. Different parts of Nuuksio national park are easy to reach from Helsinki. First, take a train S, U, L or E to get to Espoo. 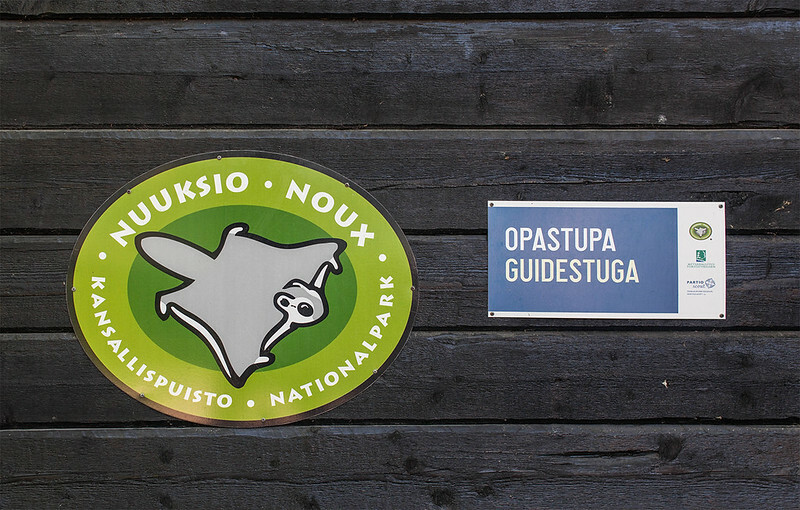 If you want to visit the eastern or northern parts of Nuuksio national park, take the bus 245(A) from Espoo Centre. In the winter, the bus will take you to a place called Nuuksionpää. In the summer you’ll get a bit further, to Kattila. 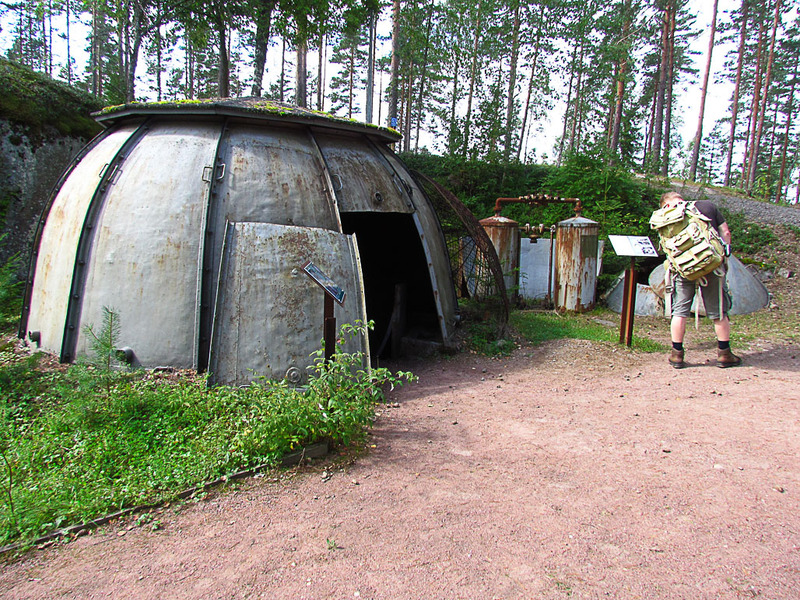 Both of these places are located in the national park area and are good places to start your hike in Nuuksio. This bus will also take you to the Finnish Nature Centre Haltia. If you wish to see the southern part of Nuuksio, first take a train from Helsinki to Leppävaara in Espoo. Then take the bus 238 from Leppävaara to Siikaranta or Siikaniemi in Nuuksio. To get to the western side of Nuuksio you can simply take a coach from Kamppi bus station in Helsinki. This coach will take you to Tervalampi, from where you need to walk about 2 kilometers to get to the national park. Find your bus here. 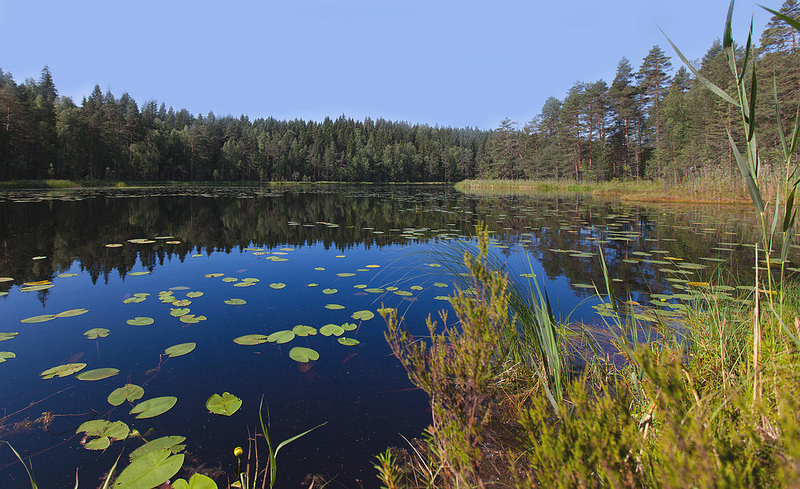 In addition to Nuuksio, the Nature Center introduces you to the gems of Finnish nature. The building itself is a piece of architecture and definately worth of seeing and experiencing. Children are given a change to try how it feels to crowl into a fox’s or bear’s nest. 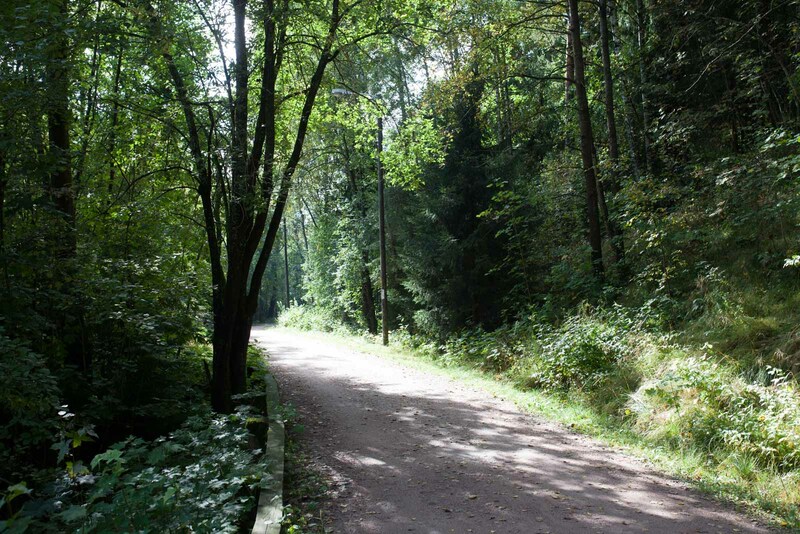 There is also an unobstructed hiking trail next to Haltia where nature experiences are all accessible. Haltia has a constantly something new to experience. For more information, visit the Visitor Center’s web site. 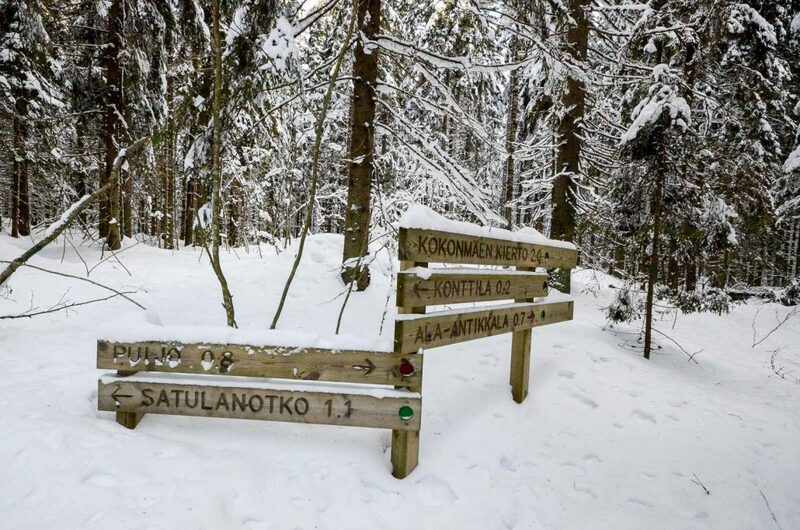 Punarinnankierros, 2km: Easy trail that fits for the beginners starts from the nature hut of Haukkalampi. 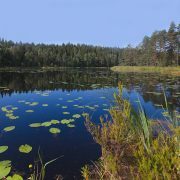 Kaarniaispolku, 2,7km: Especially a versatile nature trails for school children starts from the end of road soidentaantie. 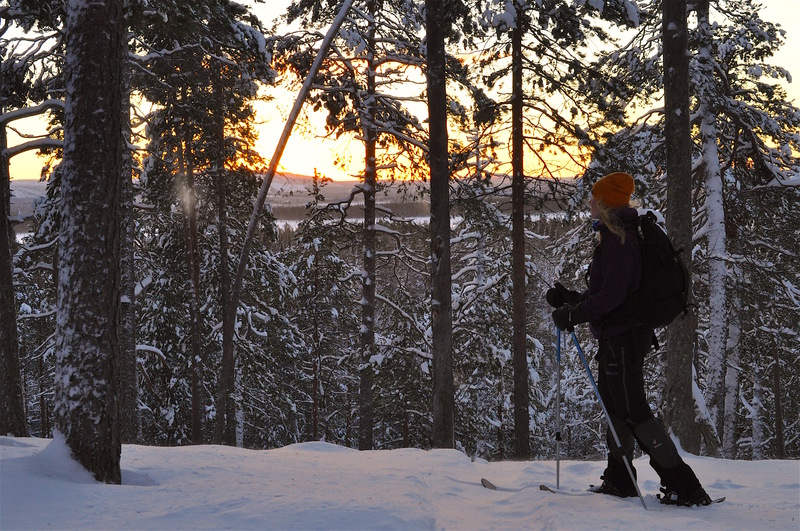 Haukankierros, 4km: trail with contrasting terrain leads to mighty sceneries. 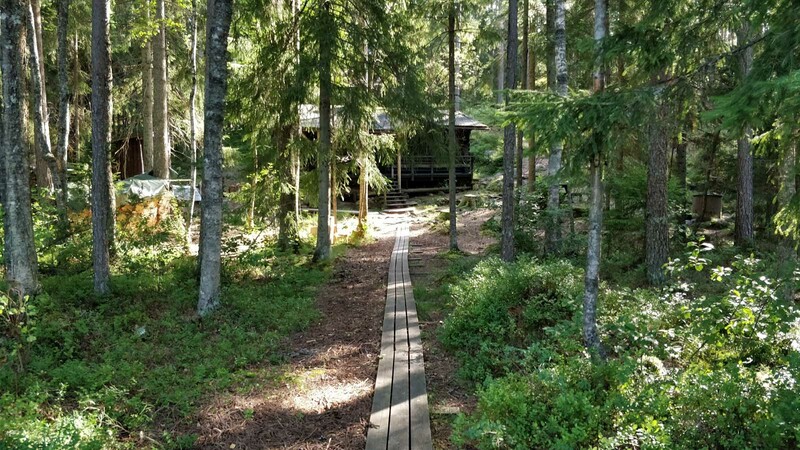 Starting from the nature hut of Haukkalampi. Klassarinkierros, 4km: Circle trail by the surroundings of the bond Saarilampi starts from the road Valklammintie. Read more about Nuuksio in English here. 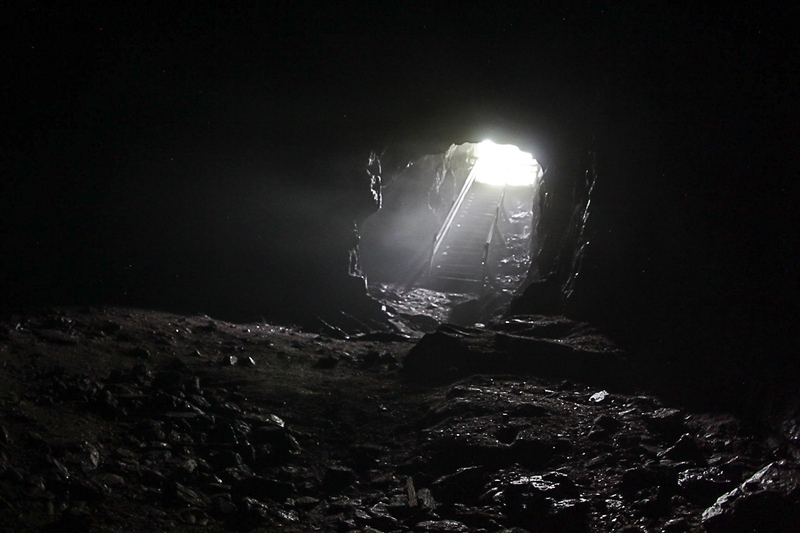 Photos by Antti Huttunen and Nella Himari. 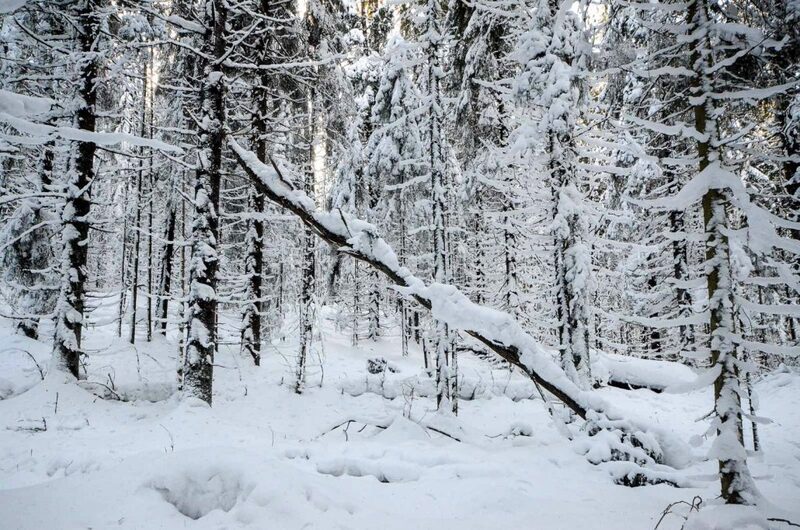 Finland’s mysterious and pure nature is an enchanting experience. 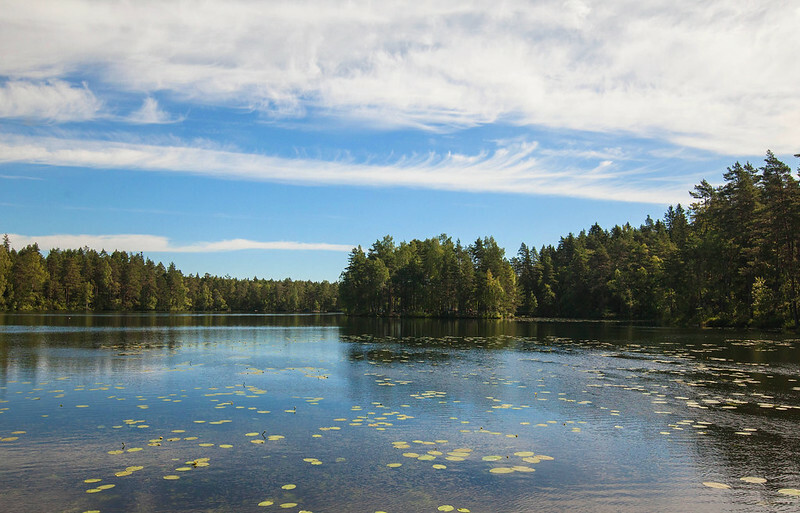 Fresh air, thousands of blue lakes and endless forests attract both foreigners and Finns themselves. This year an independent Finland turns 100 years old. What to give for a birthday present to this amazing country that seems to have already everything? 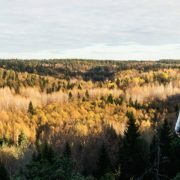 The great Finnish company Fiskars, known for its design, gives Finland and all Finnish nature lovers a unique gift: a nature reserve about an hour’s drive from the capital Helsinki. 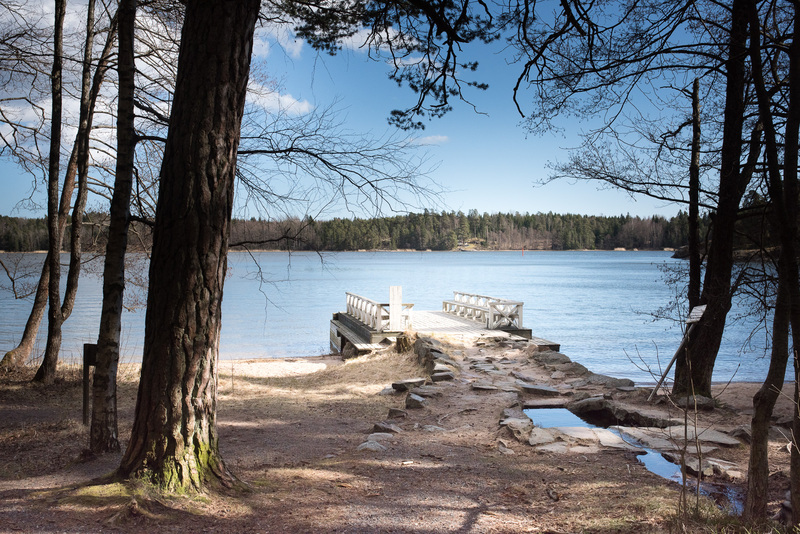 It is a scenic Dagmar’s spring park in the scenic seaside cove in Southern Finland, municipality of Raasepori. 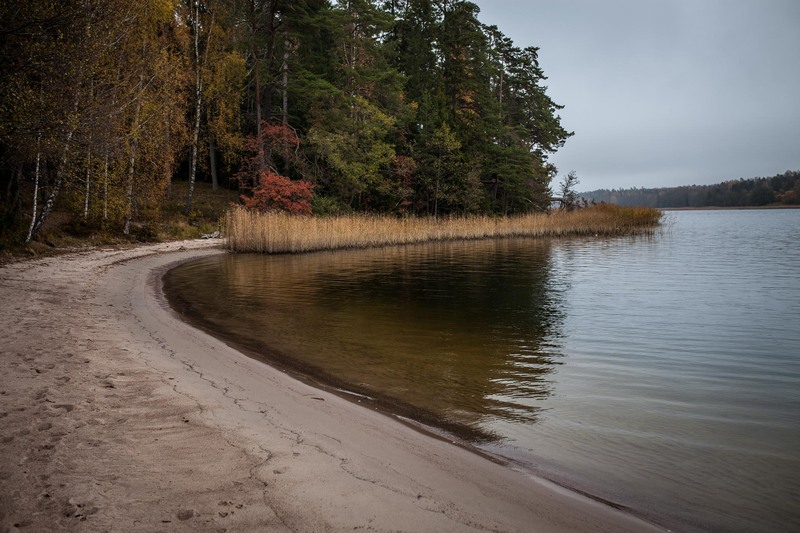 Around the spring, there are beautiful sandy and rocky shores of the Baltic Sea and a fairytale-like old Finnish forest with charming paths. Water in the spring itself is said to be the best water in the world. 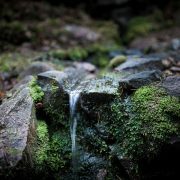 The park of the Dagmar’s spring is so special that even Russian Emperor Maria Fjodorovna is told to have visited there. Fjodorovna was originally born as Danish princess Dagmar. You may know Fiskars from the orange scissors known by the whole world. Fiskars manufactures many other home, garden and kitchen tools. 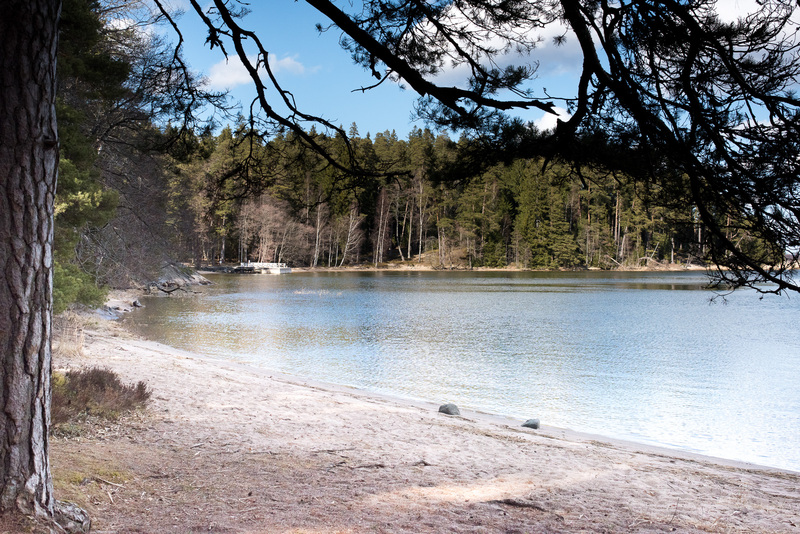 In 2016-2017, Fiskars employees have restored the Dagmar’s spring area so that the beach offers the most amazing natural experience for both boaters and walkers, near and far. The gift is exactly what Finland is at the best: natural beauty, cleanliness and peace. 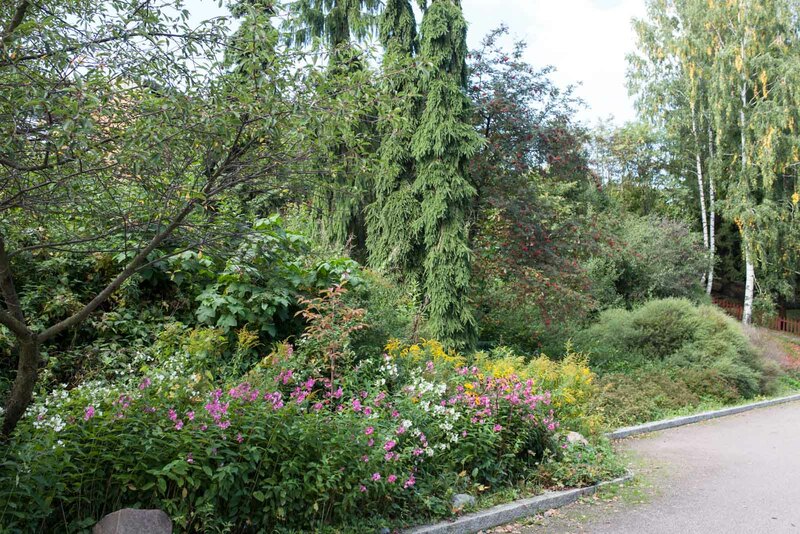 Fiskars hands over the Dagmar’s park for Finland and for finnish people for the next 100 years with a annual rent of EUR 1. The donation to Metsähallitus will take place on Wednesday 30 August 2017. 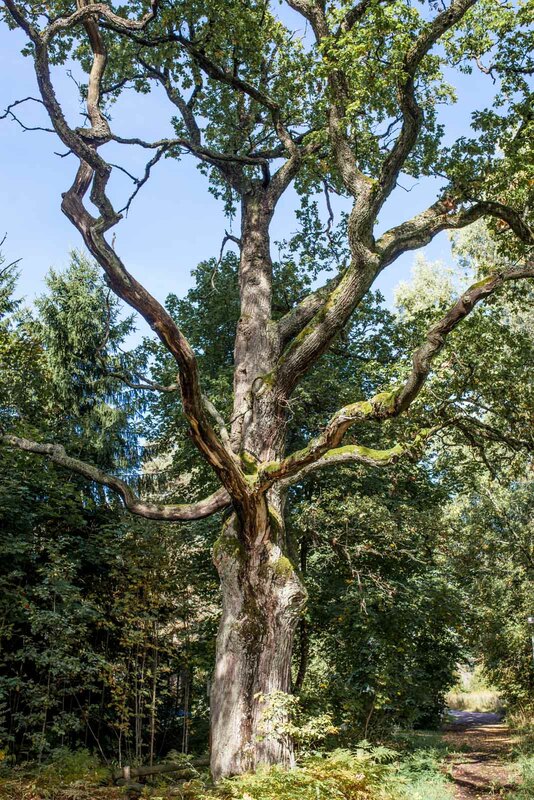 By this unique donation, the Dagmar’s spring and its surrounding area become a formal nature reserve. The area is important both for history and for its culture and nature. Now the area lasts for the future generations as well. 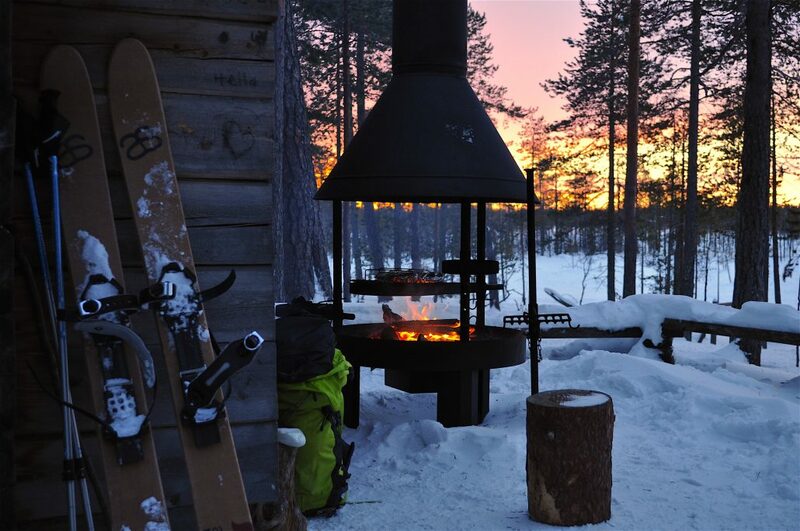 In midwinter there is light for only a couple of hours a day in Lapland. 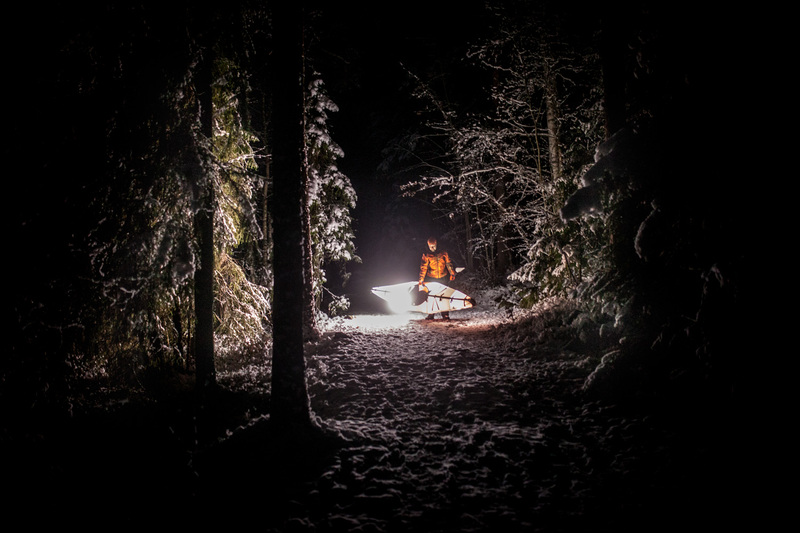 We decided to go for a two day skiing trip in Pallas-Yllästunturi National Park, to get a proper feel of the darkness during the shortest days of the year in December. 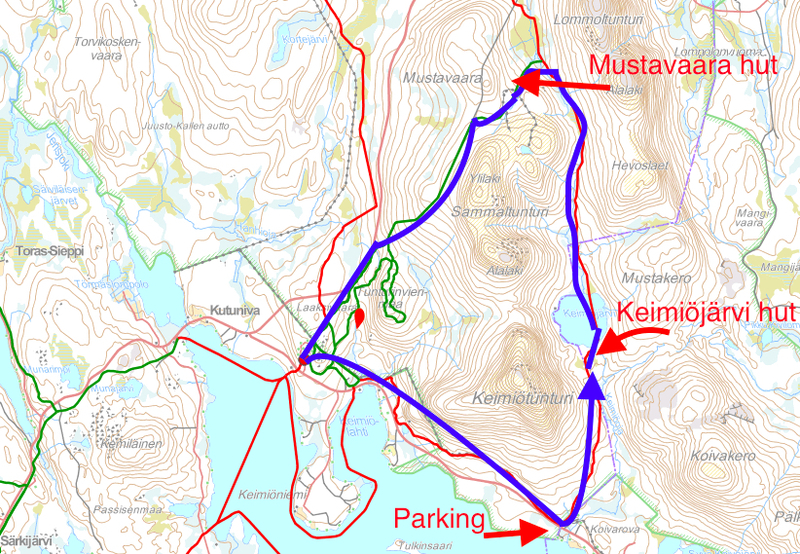 The route was marked on the map, starting from Koivarova parking lot, and went around Keimiötunturi and Sammaltunturi fells in Pallas-Yllästunturi National Park. The plan was to stay the night in one of the three open huts on the route, depending on how quickly we could move in the snow with sledges. Packing in the parking lot. 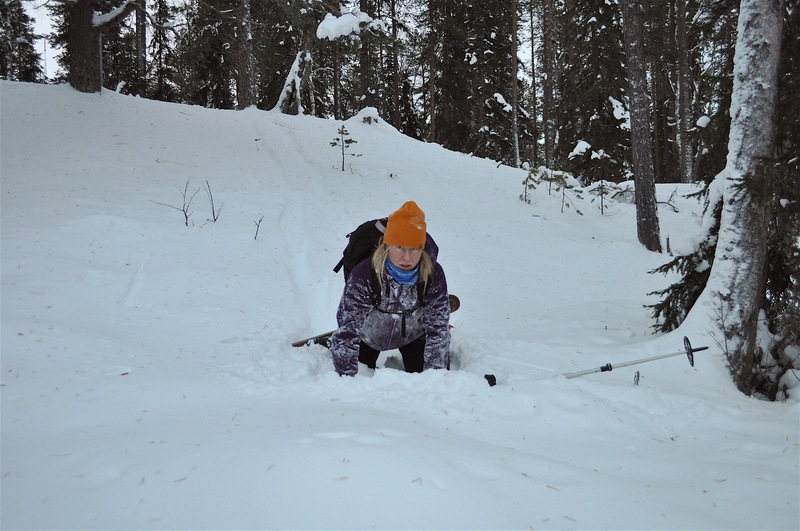 Me and my friends Pipsa and Salla had long skis, forest skis, special for deep snow. 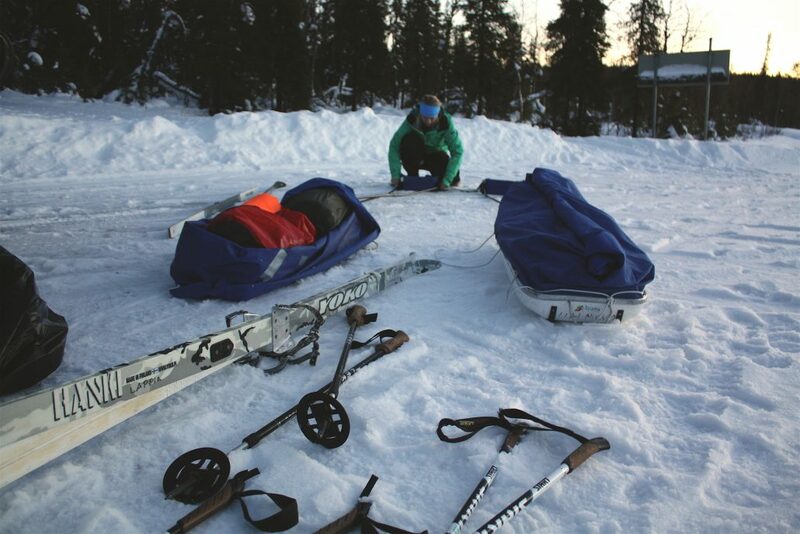 Our sleeping bags and food was packed in two sledges, inside waterproof bags. It was just above zero degrees of Celsius, around +2 C, when we started the journey. This is bad news for skiing. Snowflakes melt too much under the ski and there is absolutely no traction whatsoever. The skis glide very well, but without traction there is literally no way you can pull a sledge behind you. We added some grip wax on all skis after the first 20 meters but the effect was minimal. I wished I had hairy skins to put under my skis. They would have worked. So the first couple of hours our journey proceeded very slowly. It was nearly one meter ahead and two backwards, if there was even the tiniest hill. Our spirits were still high, but we started thinking maybe we have to stay the night at the first open hut only 4 kilometres away at lake Keimiöjärvi. At least there was a lovely sunset to enjoy, and the great Keimiö fell on our left side kept us company. Me pulling the sledge. Luckily the track was visible, it was cleared by snowmobile. In deep powder snow we would have been exhausted in no time. When finally reaching the first hut, Keimiöjärvi autiotupa, it was lunch time. We went to sit inside. 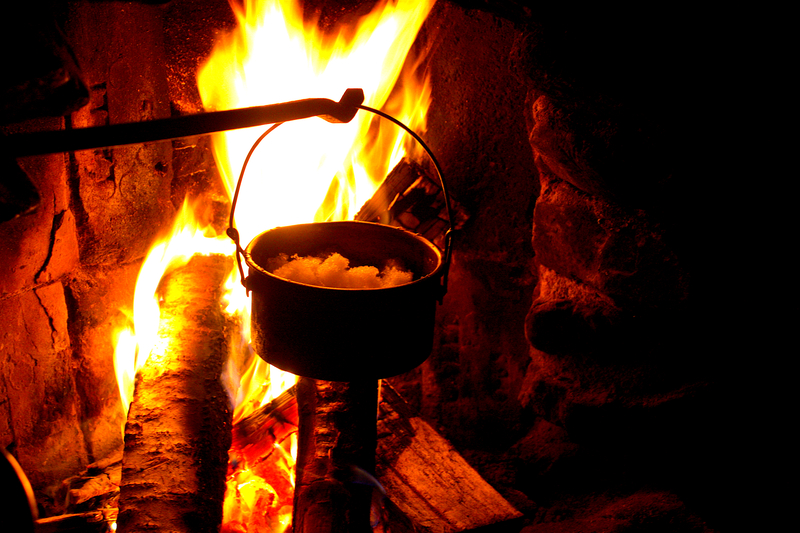 There was everything one needs for perfect camping: firewood, a stove, some buckets to fetch snow in and pans so you can melt the snow for drinking or food. Sleeping places for 3 people, more if you squeeze. A dry toilet outside. Someone had left many candles on the big table which made me very happy. After lunch break it was only 2 pm, so we decided to keep going. It was always possible to return to this hut if the journey wouldn’t proceed at all due to non-existent grip. The second hut, Mustakero, we had to forget as it was situated on top of hill. No way we could climb up in this snow. It was getting dark already so we wanted to cross the lake as soon as possible. You never know with frozen lakes, if there is a current or underwater spring that prevents the ice from properly freezing over. This route was marked though and I felt pretty trusting there wouldn’t be any soft spots in the ice. Still, there was nervousness in the air. We had forgotten to bring ice claws. You should never cross unfamiliar waters without them, ice claws literally save your life if you fall in. You smash them on the ice and pull yourself up. Crossing the lake, leaving the Keimiöjärvi open hut behind. After crossing the lake with no casualties (phew), our path continued in the dark. The funny thing about darkness is, it never really is pitch black when there is snow on the ground. I didn’t even want to turn my headlamp on. I could see shades and trees, the fells around me. And I could see the amazing sky with a zillion stars! What you don’t see, is depth. Downhills on our way were not steep, but all three of us managed to fall many times! Luckily snow was soft and there was a lot of it. The sledge is funny when coming downhill: first you have to pull it for the initial glide. Then gravity takes over and you feel a push on your back, as the sledge gives you extra speed! I wouldn’t dare to slide down a steep big hill, the speed would accelerate so fast I wouldn’t be able to do anything but yell. After the last rays of light were gone by 2.30 pm, the temperature dropped below zero, just enough to get some grip back. Our expedition managed to actually ski ahead now! 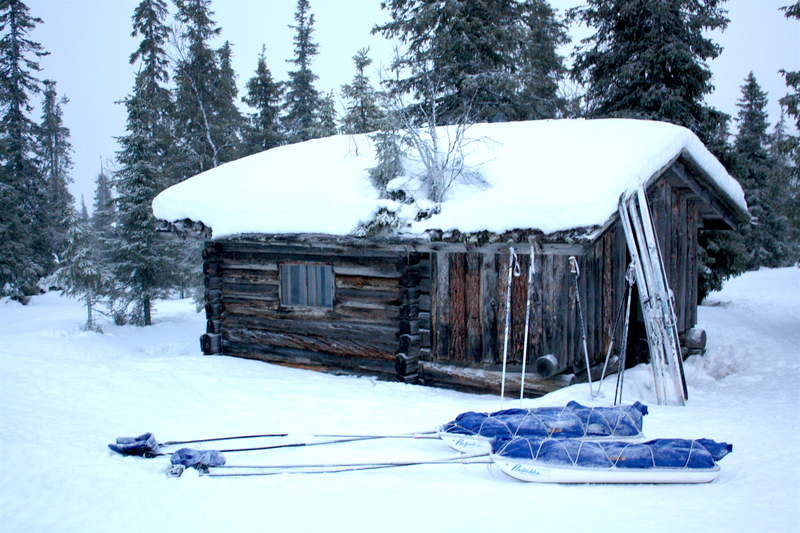 Before no time we had travelled 5 km from the first hut to Mustavaara, an old reindeer herders’ hut. It has been estimated that this hut was built in the end of 1800’s, making it the oldest hut in the whole Pallas-Ylläs National Park. Melting snow for drinking water. In summer time there is drinking water practically everywhere. The waters in Lapland are so pure. In winter, you melt it from snow. But snow takes quite a while longer to bring to boil than liquid water, as you might recall from chemistry lessons. Still, it took surprisingly long, I thought. For dinner we made avocado pasta, not the most traditional of Finnish dishes, but very quick to prepare and absolutely yummy! The cute and old hut Mustavaara. Imagine this too is complete free for everyone to enjoy! Many thanks to Metsähallitus, the Finnish Administration of Forests, for the maintenance and firewood. Our expedition team didn’t sleep too well as there were mice rattling (don’t leave food laying around) and wind howling in a snow blizzard. But we were more than happy to have experienced this old hut. After breakfast it was time to get going as daylight would last, again, for only a couple of hours. Today it was about -2 C, just enough to get a decent grip of the snow. The way back around the fells was 15 km so it was going to be a long way – or not, depending on the path. The first 7 km were in great shape with hard path made by snowmobile. There were even proper ski tracks all the way from Mustavaara hut to hotel Jeris, 7 km leg. Our forest skis were too wide to fit the tracks though, they were meant for normal cross-country skis. The last 7 km leg was something else. This part of the route hadn’t been opened, I don’t know why. Or perhaps it had snowed so much the track had been covered. 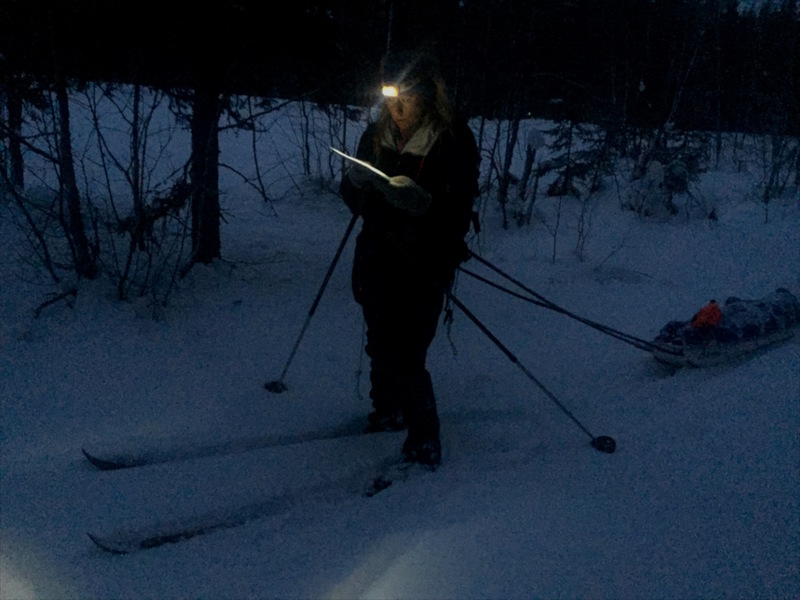 It was quite a struggle as we had to cram in unbroken snow, in the dark. The benefit of tall, wide skis is that they glide better on top of snow. That is, IF the snow is hard enough to carry your weight. This snow was powder fresh fluff and we sank right through. We took turns in opening the route. Also the terrain changed to very hilly. It was ever-changing uphill – downhill for at least 3 km. The last leg goes next to a reindeer fence so you can’t get lost. You just need to find the gate where you started off. Obviously it’s hard to take good pictures when it is dark, but most of the time our skiing trip looked liked this. Finally we recognised the gate in the fence and yelled out of excitement. It was a fun, challenging trip, I learned a lot about skiing in snow that keeps changing its form. 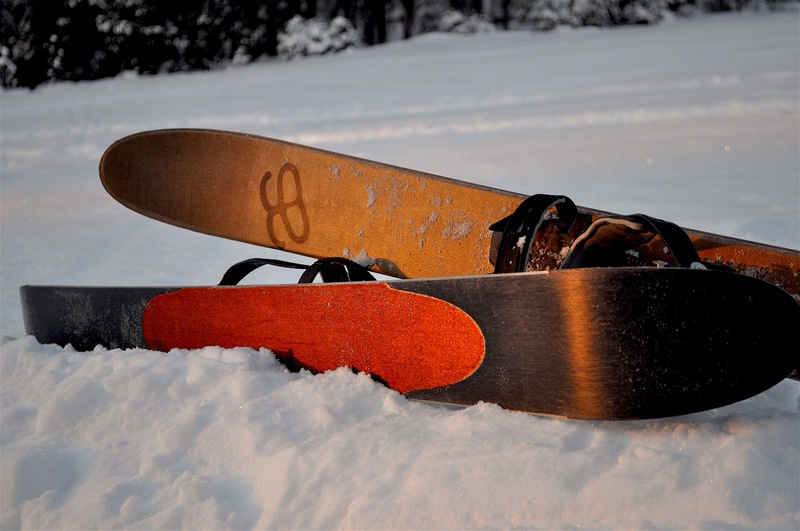 Short skis with skins are ancient, dating back 10 000 years. They represent skis as they were originally! Today they have been “invented” again to suit modern day winter adventurer. 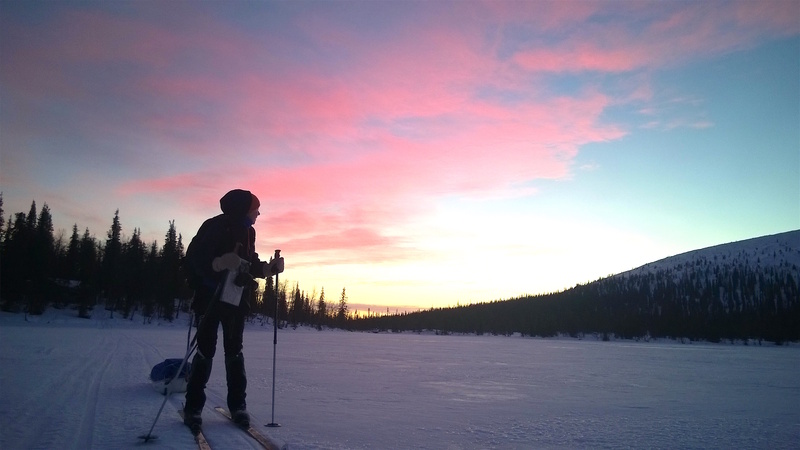 I tested skishoeing in lovely Pyhätunturi in the heart of Lapland. Skishoes are short and wide. These are only 125 cm long, up to my shoulder. They have a hairy skin integrated on the backside for grip, but only partially. The bindings works for any shoes, I had my hiking boots with a couple of woollen socks. 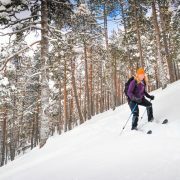 Skishoes are literally a hybrid of skis and snowshoes. But as you cannot have it all, they come with some compromises. They glide as skis, but not as well as proper skis. When climbing uphill they get traction like snowshoes but not quite as well as snowshoes when it gets steeper. 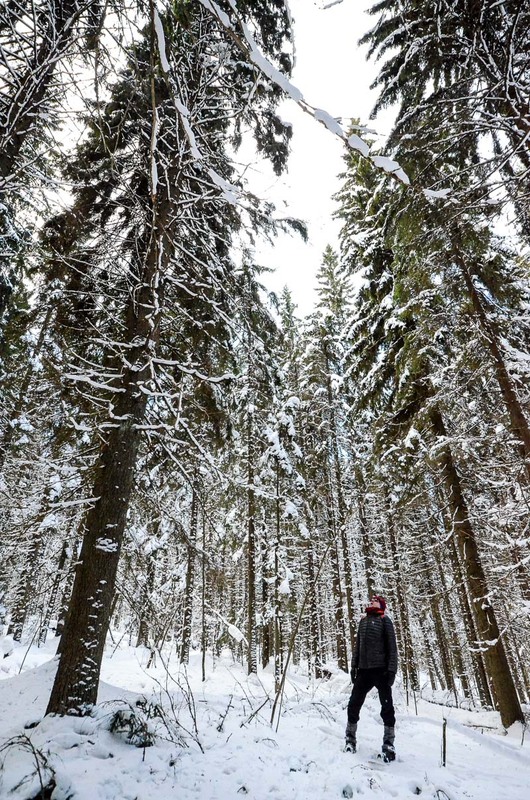 For me skishoeing was a new form of winter sport. Soon after setting off I decided I love it. Skishoes glide surprisingly well on flat surface, you go faster than you would with snowshoes. 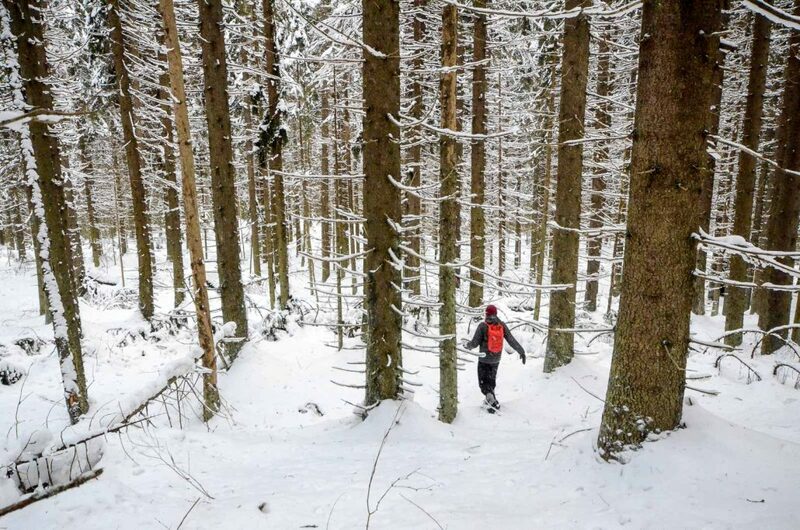 The short size of skis makes it easy to navigate in the forest. Pyhätunturi fell with its skiing slopes is sunbathing at the background. I got my skishoes for a test from Bliss adventure. As the day light broke (at nearly noon) we left for the 5 km marked path called Tunturiaapa nature trail in Pyhä-Luosto National Park. In deep powder snow skishoes sink in the snow somewhat. Long skis would be better for floating on top of snow. 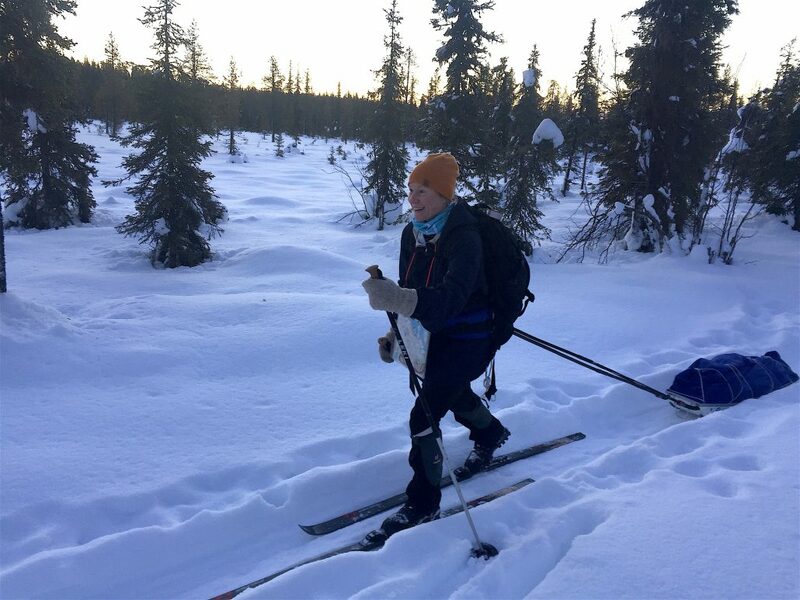 But compared to snowshoes it still feels easier, in my opinion, as you don’t have to lift the whole foot up, just push the ski forward and save your sweat. Me after one of my many falls! It took a while to learn just how to keep balance with skishoes. Luckily snow is soft. 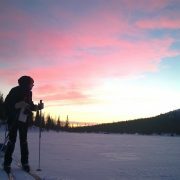 You can’t control them as well as you can proper backcountry skis. 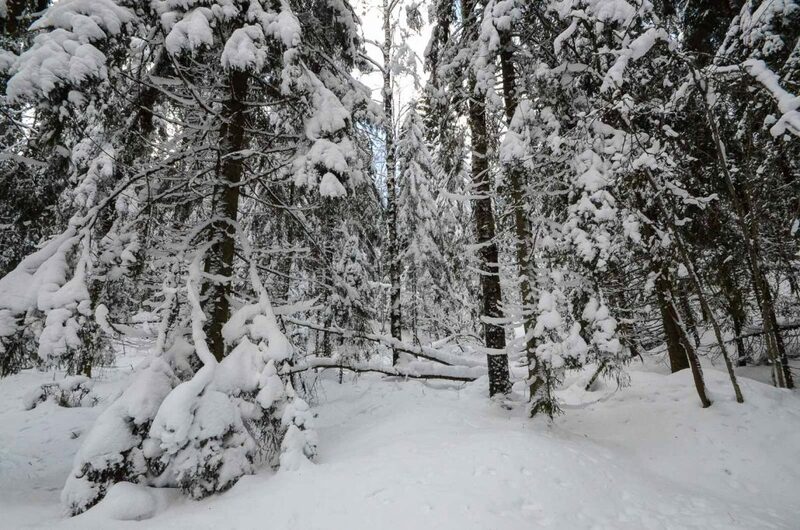 The trail continued through the woods and out to the open marshland in deep snow. 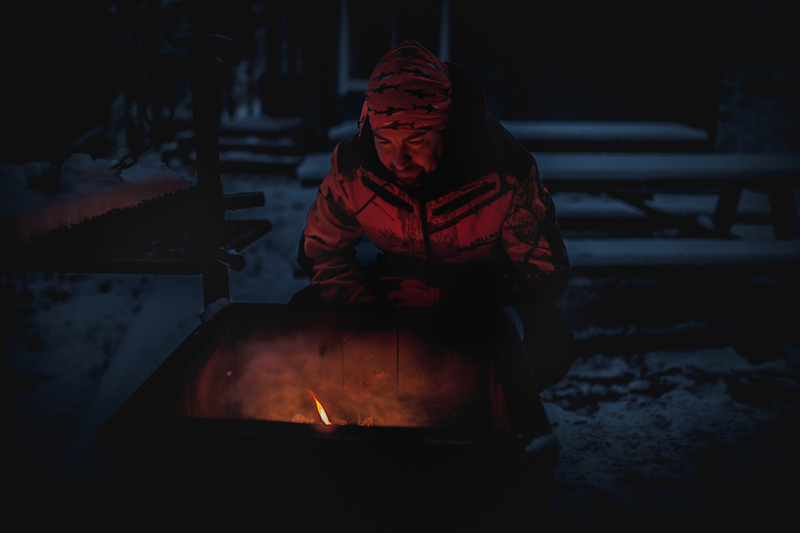 We had a lunch break at Tiaislaavu lean-to shelter, where there is firewood for everybody. Lunch break at Tiaislaavu lean-to in Pyhä-Luosto National Park. The last leg of the round Tunturiaapa trail was full of small hills, so up and down we went. There the traction and gliding properties were really put to test. 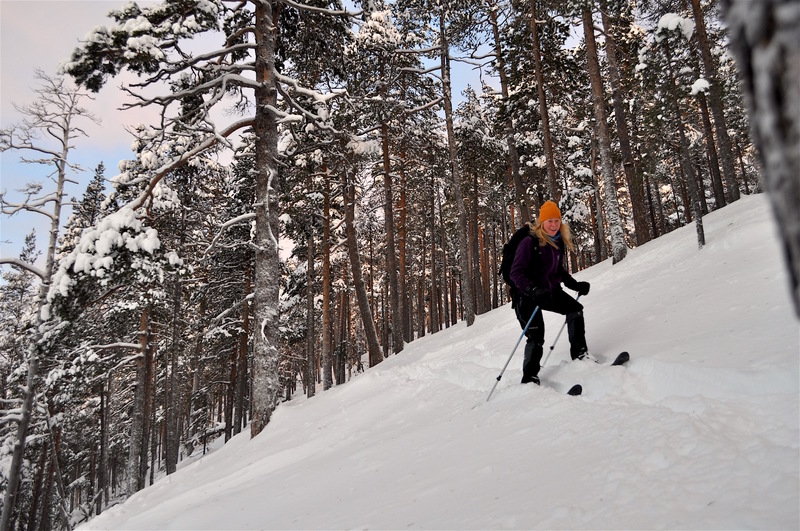 Climbing up a steep hill with skishoes is a task. The traction isn’t quite enough, snowshoes would be better. But on gentler hills they work like magic. We couldn’t resist playing around and went up and down some nice hills several times. This was one of the steepest hills. Skiing down such a hill with new unfamiliar toys made me nervous, but it was actually a lot of fun! There are still people living in the Altai mountains in northern Asia who use these kind of skis with actual animal skin on the bottom. The Tuwa people have been moving on snow like this for thousands of years. Instead of two poles in each hand, they use one long pole that balances on the way up and helps manoeuvre when skiing downhill. 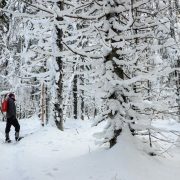 I recommend skishoes to anyone who loves snow sports or winter trekking. It is a unique way of moving: faster than snowshoeing, slower but more versatile than skiing. 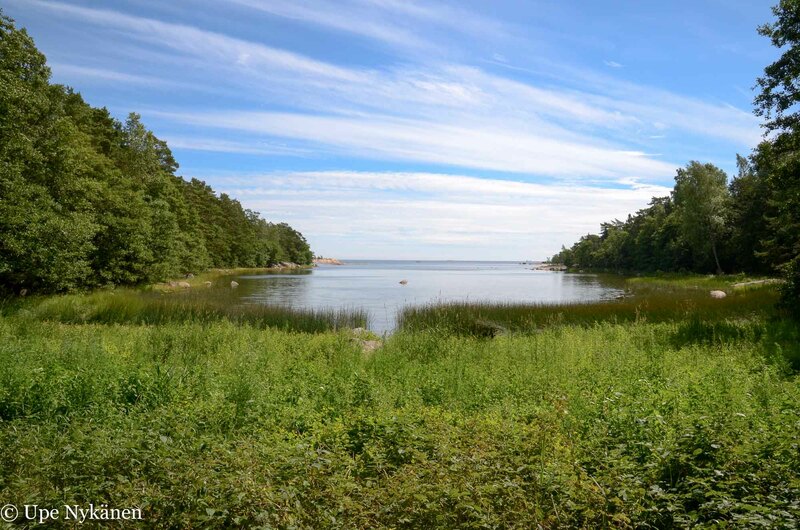 Pirttisaari (Cabin Island), which belongs to the western part of Porvoo’s archipelago is known by few, but even fewer have probably noticed that it’s a sweet little spot for an excursion into nature. Given that it is an island we’re talking about, a little more effort is required to go and spend a day by the sea here, but it’s definitely worth it. 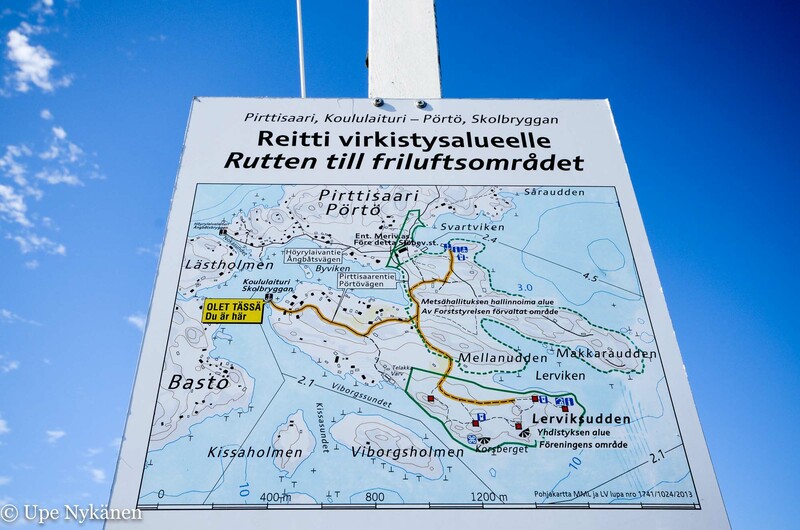 I was a little nervous about how things would work out with the boat timetables, as only the departure times were listed on the noticeboard belonging to Pörtö Line, the ferry operating between Kalkkiranta (the departure point on the mainland) and Pirttisaari, not the arrival times. However, I decided to chance it at the harbour with my backpack and climbed on board the ferry behind the other passengers. Most people, judging by the amount of stuff they had with them, seemed to be going for longer than just a day, probably to summer cottages. Only a few looked like they were, like me, on a day trip. As a mainlander, I was already enthusiastic about the sea voyage itself – a rare treat! A few travellers had settled below deck to shelter from the wind, but most of us sat outside happily enjoying the sunny crossing. 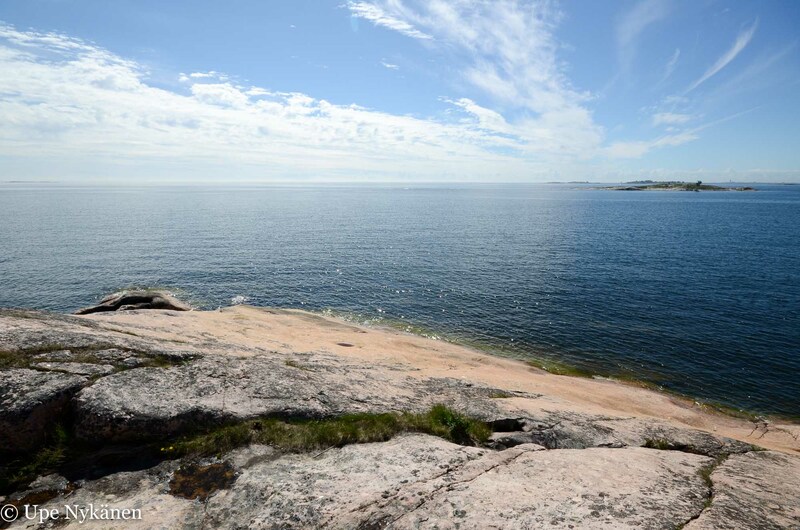 From the deck you could see charming cottage islands, rocky islets dominated by birds and open high seas. The water was almost mirror calm and it then occurred to me, that the conditions would have been perfect for kayaking. Oh well, not this time. On the way to Pirttisaari, the ferry stopped first at the tiny island of Tredjeholmen to drop off some passengers, and then made a quick stop at Bodö, the next island, to deliver the mail. 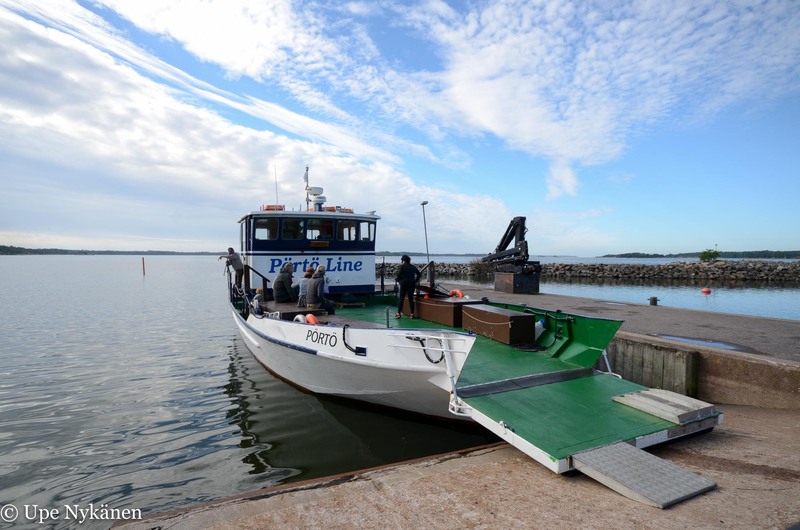 I double-checked with the ferry’s friendly staff where I should get off and was told not until Pirttisaari’s old school pier, where I would also get picked up in the afternoon. About an hour after our departure from the mainland we arrived at Pirttisaari’s old school pier. The ferry emptied of passengers, the majority of whom then decanted into their own, smaller, boats. I was clearly the only one, who had come for a daytrip. At the end of the pier was a coherent map, but I had a map in my pocket that I had printed from the internet just in case. If you don’t have any kind of map with you, it’s probably a good idea to take a picture of the one at the pier using, for example, your phone, so that you can check the route and sights when you’re on the move. After the pier, I came into the yard of the former school building but kept going straight ahead. On the red ochre wall of the building was a small sign: Till friluftsområdet / Recreational area – turn right! The former school with its gardens is private, but you can cross through the yard to get to and from the pier. However, hanging around the yard without permission is not allowed. When exploring the island, it’s good to be respectful of islanders and their privacy and leave places tidy when you leave. Remember, when visiting any place outdoors, you should always follow the principles of Leave No Trace. 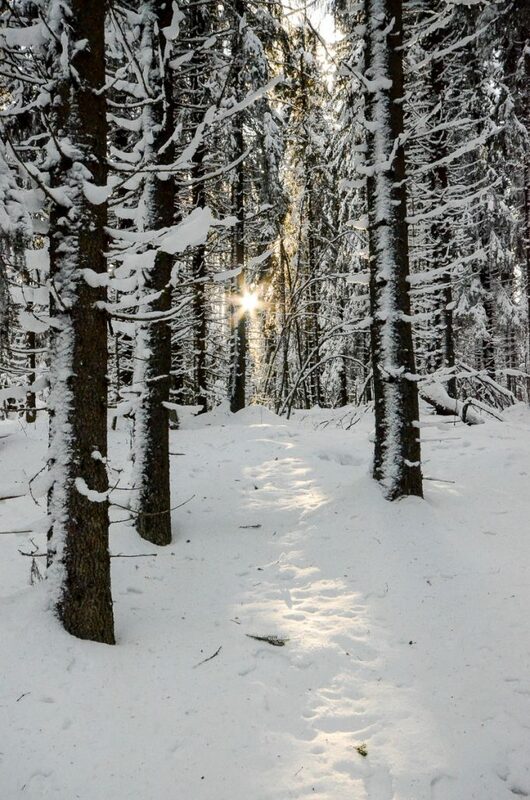 I started walking down the path, narrower than a cart track, towards the crossroads. From there I had to decide, will I go to Svartviken first or head straight towards Lerviken, both of which have a maintained and stocked campfire area. 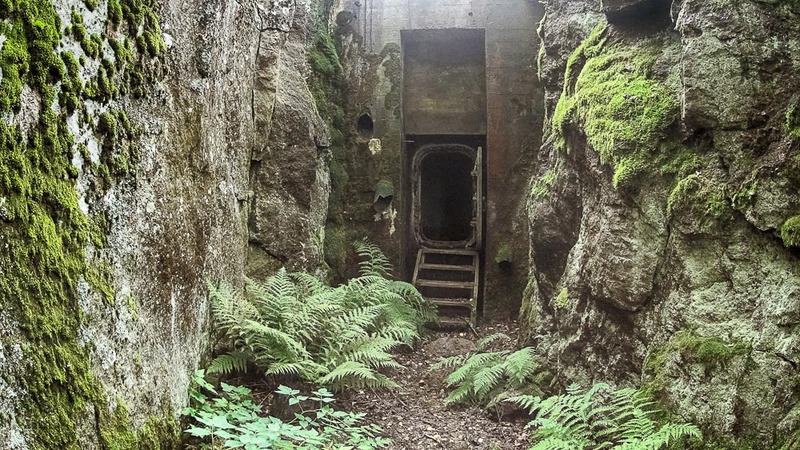 I strolled slowly along the easy path, inspecting what was on either side of it. Foxgloves on one side, with their colours blazing, were probably fugitives from the garden. Juicy-looking blueberries cast their fruity glances in my direction, and I just couldn’t resist… It wasn’t long until my mouth was completely blue. What a delicious start to the trip… But someone else could pick that cep, as I didn’t have my mushroom knife with me. 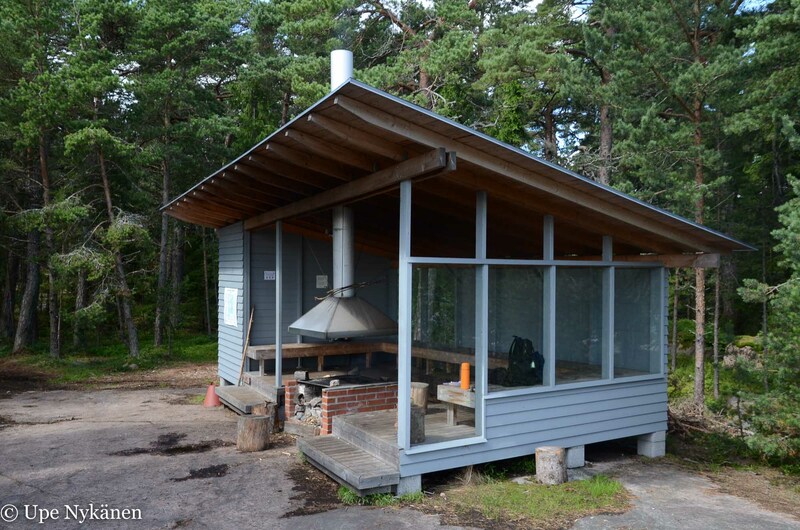 The name Pirttisaari, meaning ‘Cabin Island’, had already led me to believe that on the island there would be at least one cabin. There were actually several, many painted with red ochre, which fit perfectly with the picturesque archipelago landscape. The island has been inhabited since the 1700s and there are still permanent year-round residents, even though you would think that with the long boat trip from the mainland, people would just come to spend the summer here in their cottages. You won’t come across any cars on the island. The biggest vehicle that you might encounter on the narrow path is a quad bike. Among other things, these are probably used to transport firewood to the campfire spots for visitors of the island. The only other sounds of motors rumbling are really only heard from the sea, unless someone’s cutting wood with a chainsaw. 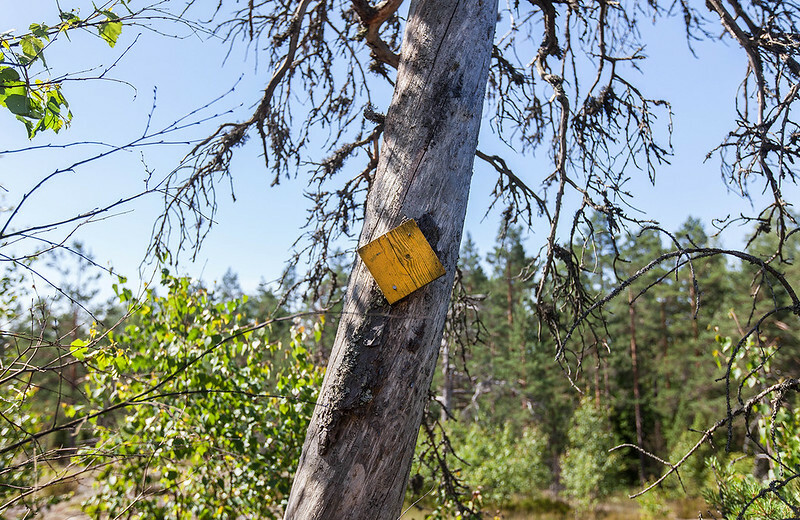 In many recreational areas route markers are made with paint dots on trees, but not on Pirttisaari. When I arrived at the first crossroads after the schoolyard, there were wooden signs waiting for me. Svartviken to the left and Lerviken to the right and the toilet. I chose Lerviken first, because I suspected that there might be more to see. 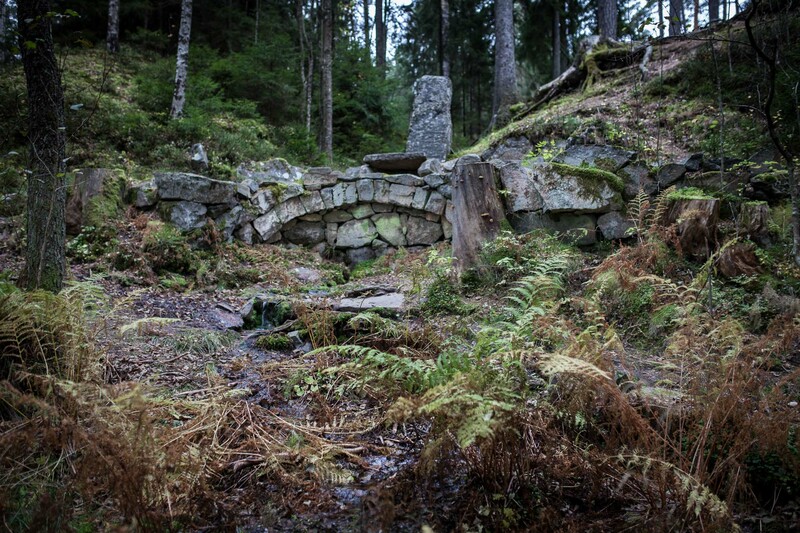 The small road leading to Lerviken went through a primeval forest, where some bugs were probably feasting on the decaying wood that had been left to lie there and rot in peace. 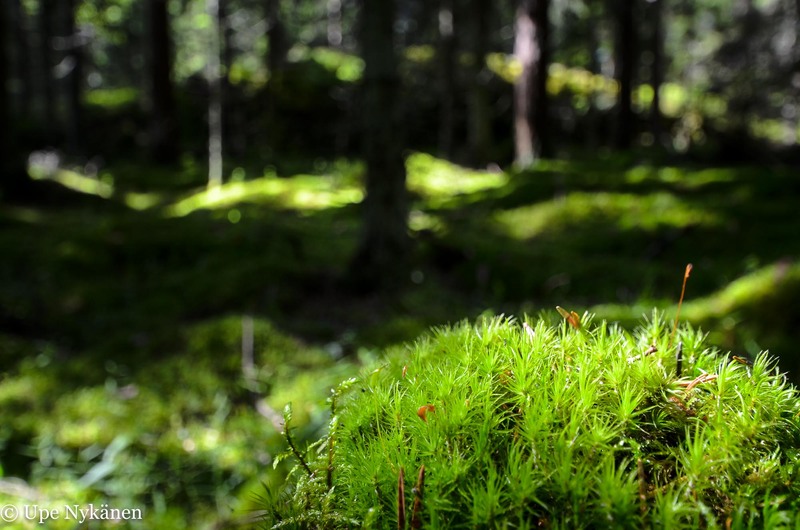 A bright green moss carpet covered the forest floor and I stopped a number of times to admire the colours, light and shadows in amongst the majestic spruces. Random songbirds performed their solos every now and then. My own footsteps were the loudest distraction, but fortunately only a faint one. 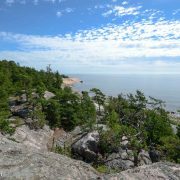 The trail led me over the top of a bare rock, alongside a former pasture and then continued through coniferous forests before the next signs with maps, from which I could see that I was already close to the beach and a defence tower. 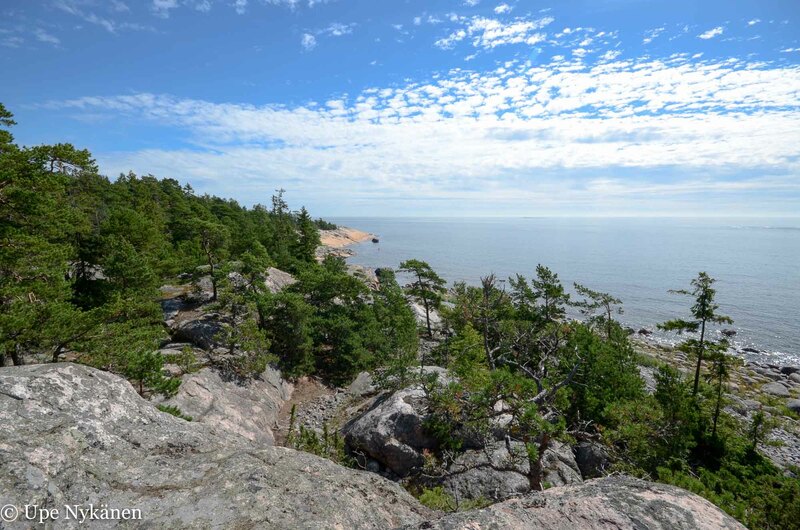 The tower is locked so don’t anticipate climbing up to get a better view, but don’t worry: the Gulf of Finland archipelago landscapes open up spectacularly from the top of the rocks. I scrambled up onto the handsome looking rocks next to the army tower, along a path of sorts, but then I went my own way. What a view! If only I had brought my binoculars with me. I could see islets and islands near and far. On one island in the distance I could clearly make out the column of a lighthouse. Moomin Papa’s lighthouse, Söderskär, which is located in Porvoo’s outer archipelago. 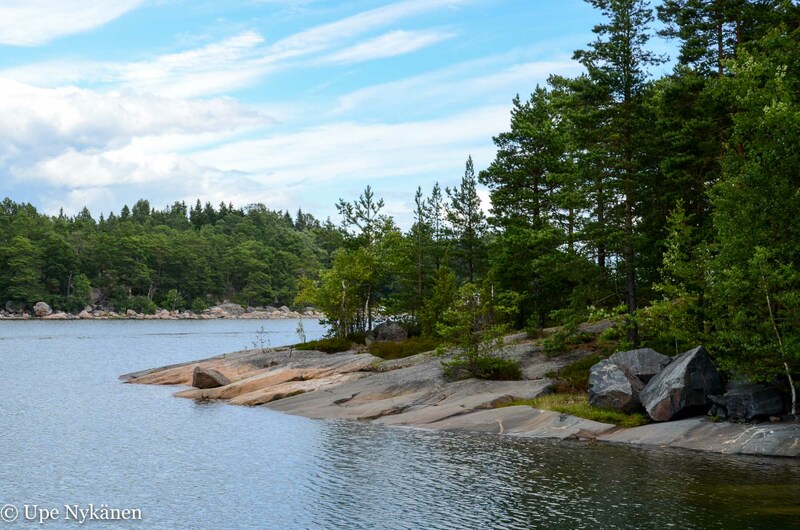 You can even go and visit Södeskar on a number of different ferries or boat cruises. 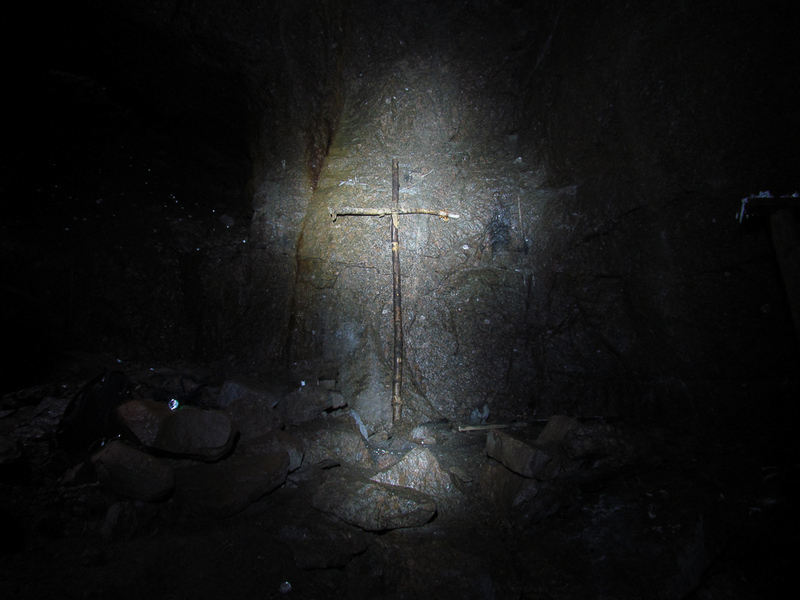 I jumped forward from the rocks and noticed a graying wooden cross. The cross has been erected in memory of the fisherman’s son Isak Lilleberg. Isak sailed to the outer island in 1838 to collect his sheep, but was surprised by a storm and drowned on the way. On the back of the wooden cross you can still kind of make out his house mark of four arrows. I took a moment to sit on the rock to savour the euphoria of looking at an open sea view in laid-back warm weather. These landscapes really do make the spirit soar. It was fun to explore the rocks. By the shore, their rugged features had been softened over time, caressed by the waves; any grooves in them had been pretty much smoothed by the water. In several places little towers had been made from piled up stones, a reasonable task for a hot day on this kind of island. I then got up and continued my journey towards the campfire and picnic spot. One family was enjoying the sunny rocks by the cove and I heard from the screams of a the children, that the water was a little fresh. I went to the small headland and then leapt across the stones, aiming towards the sailing ships gliding in the sea. Someone had made a short crescent shaped wall out of beach stones to pass the time, but what for? Maybe it was a play den. Hunger was starting to make my stomach rumble. Thankfully Lerviken’s campfire spot was already pretty close. I was expecting a simple campfire ring, but Lerviken surprised me with a super smart shelter with glass walls on one side! The previous picnicker left the fire place soon after I arrived, so I got to sit and enjoy my thermos of tea and my sandwiches in peace, while starting at the open seascape behind the rocks. It was a good idea to build a wind shelter, that you can see through, when the views are as beautiful as this. The task that caught my attention, was to ‘discover your inner artist and make a work of art for the island out of materials provided by nature’. 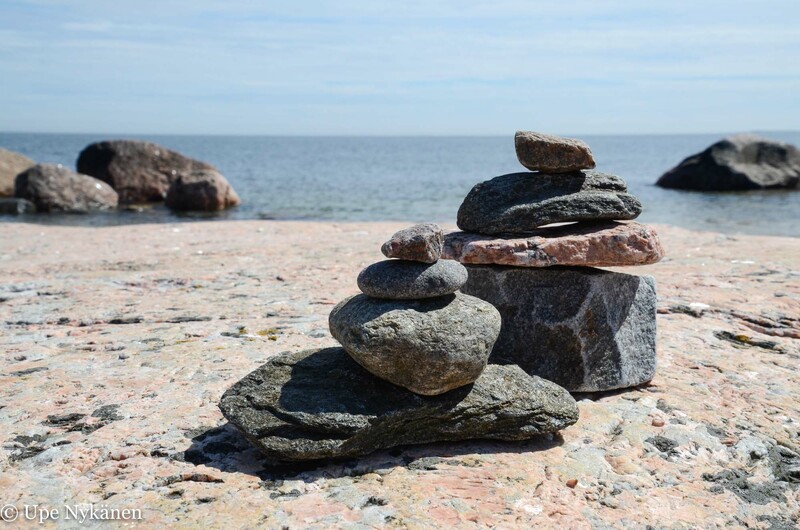 So I admit that this wasn’t exactly original, but it was fun to spend a moment finding different kinds of stones and make a cairn on the coastal rocks. The next visitors could then do whatever they wished with these sculptures. My ecological work of art followed the given instructions of not leaving a permanent mark on or causing damage to the island. As I left the campfire area, I passed a leftover from the war: a pretty well camouflaged bunker in the side of the rock. 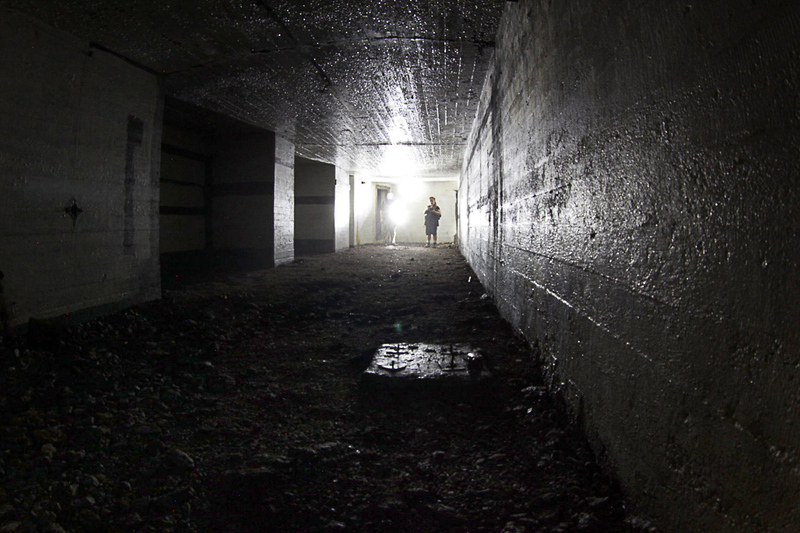 There’s no point in trying to get inside there either, as it’s forbidden to enter army buildings without permission. I returned to the path that I arrived on back to the familiar crossroads and followed the sign to the island’s other side, Svartiken. From Lerviken to Svartiken is a distance of about 1.6km, so you shouldn’t get exhausted, especially as the terrain is nice and even. So I curved from the straight path slightly to the side, as with this kind of short distance on a small area near the seashore there’s no risk of getting lost. But I also still had my map safely in my pocket. I followed the cart track from Svartiken slightly to the right and, still on the small path, through the forest, ending up in a charming bay between Marraudden and Mellanudden. This side of the island looked so different with all its lush greenery! I then came back on myself and turned onto the little road going to Svartiken. It’s good to keep your eyes wide open by Svartiken, because even though there aren’t that many options offered to the walker, the wooden signs are small. If you arrive on the island via Svartiken, the route to Lerviken is clearer, but coming from Lerviken there are a couple of crossroads which can confuse the traveller. At Svartiken there is a boat jetty, where there were a number of boats parked. The secluded, rocky inlet is a great place to stop for the night if you wish to, as there is a maintained campfire place with firewood and a tidy outhouse. I would recommend Lerviken however as the number one location for daytrippers, where you can enjoy the open landscape/scenery and sheltered campfire place. Svartiken is designed more for boaters. Then I looked at the clock – it was time to head back to the old school pier to wait for the ferry and my ride back to the mainland. The ferry arrived at the jetty around 2pm and about a dozen passengers boarded. Sitting on the deck of M/S Pörtö in the afternoon sun in the middle of the glistening sea, I sighed, thinking to myself that Finland does indeed have a gloriously beautiful archipelago and it’s an amazing thing that even an ordinary landlubber like me can go and enjoy it just by using the ferry. And this trip didn’t even cost that much, for the ferry crossing to Pirttisaari’s old school pier and back is free! Directions and parking: Kalkkiranta beach can be reached by bus from both Porvoo and Helsinki (about 1hr30 from Central Station). From both directions you will need to change buses at Söderkulla, which is about 7km from Kalkkiranta where you catch the ferry, and the times coincide with ferry departure times. Please see Helsinki’s Journey Planner for routes and times from Helsinki. 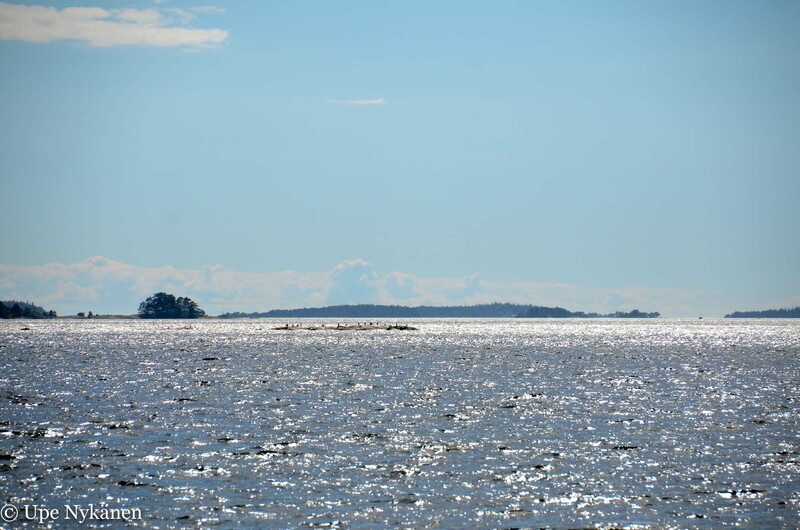 The ferry journey from Kalkkiranta on the mainland to Pirttisaari is about one hour. If you come via car, you can use Kalkkiranta’s free parking area, but if it’s full you have to find a parking spot by the side of the road. For bicycles, there’s plenty of room near the beach and you can buy ice-cream and other snacks from Kalkkiranta’s kiosk.